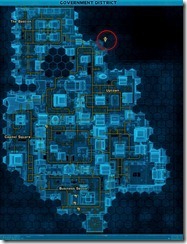 Hello everyone, this guide will help you hunt down all the relevant datacrons to the sith inquisitor class (i.e. willpower, endurance, and presence). +4 willpower (304, –1570). 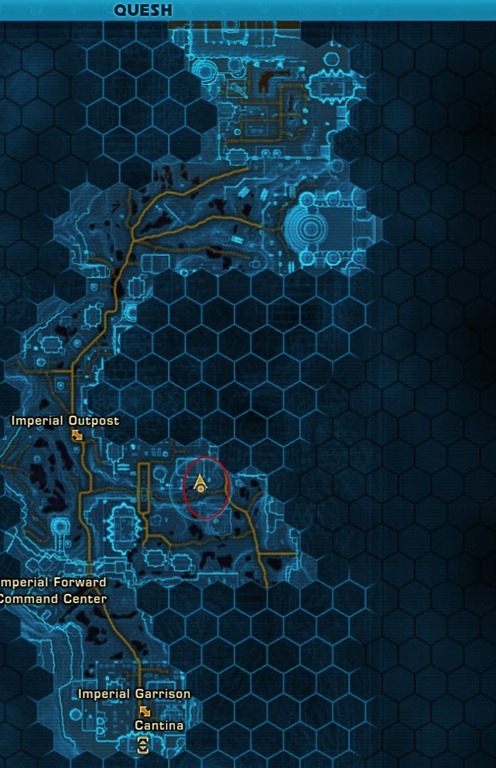 This datacron is located on the far northeast section of the map, north of the Imperial base inside a cave. 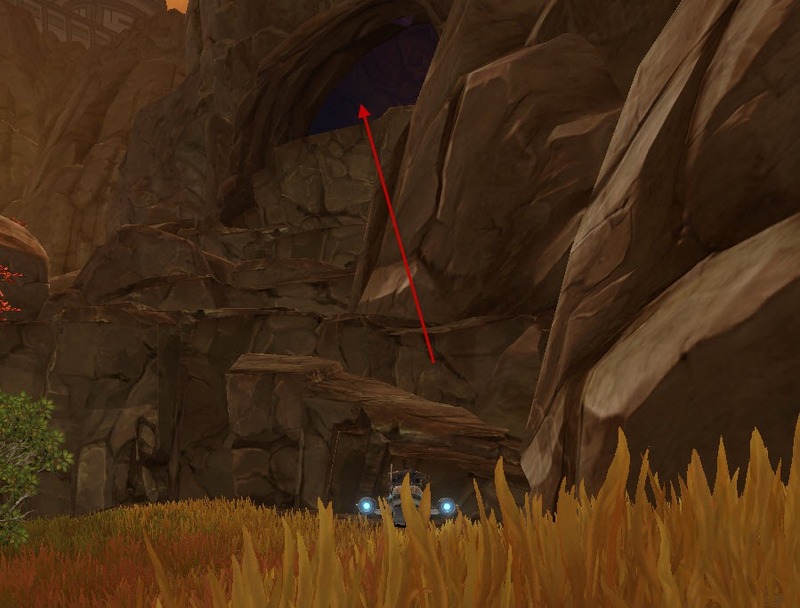 To get to that cave, you will have to go north of the heroic area and then go all the way to the right (where the arrow is pointing). 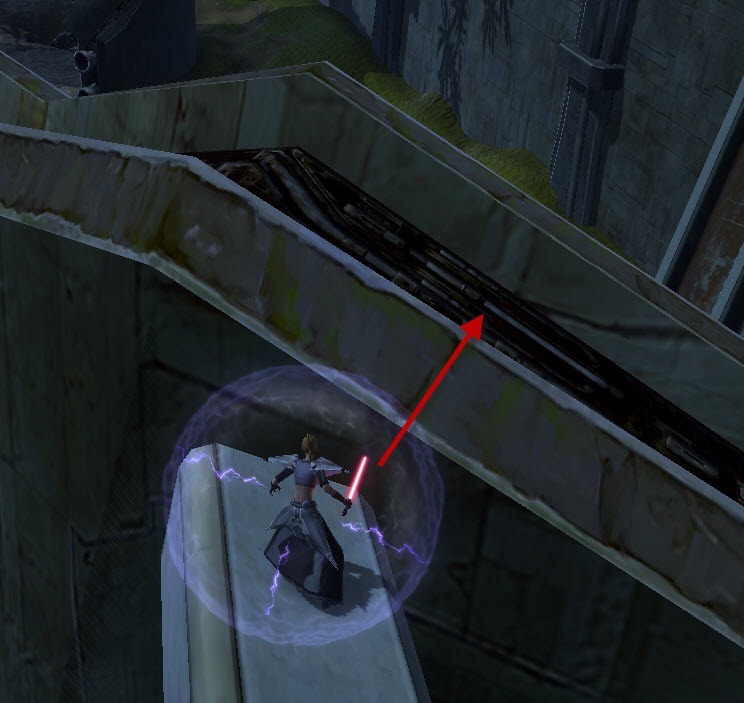 There is a ledge there where you can drop down. 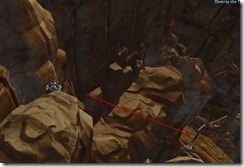 Once you get to the canyon below, follow it all the way till the end until you see a cave. 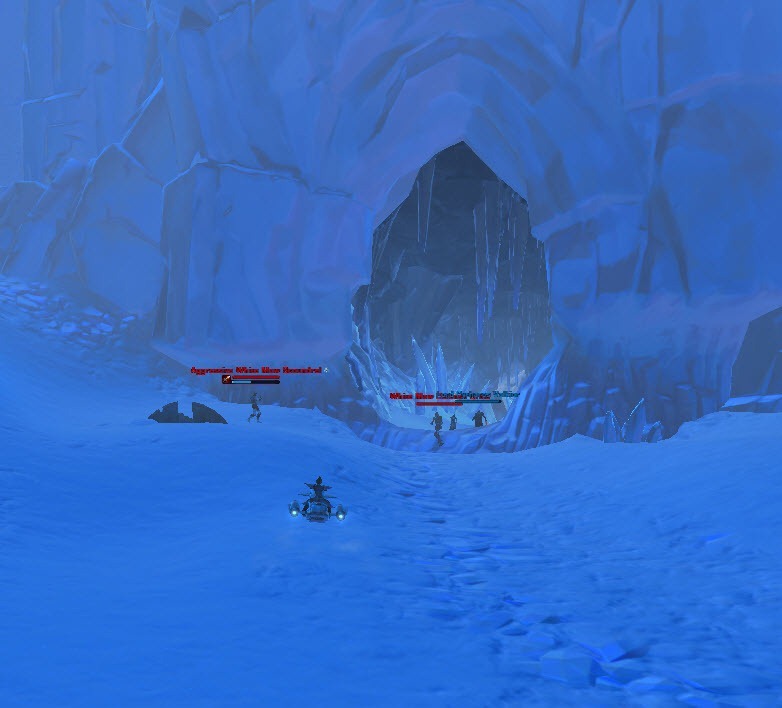 Enter the cave, you might have to defeat an elite guarding it. 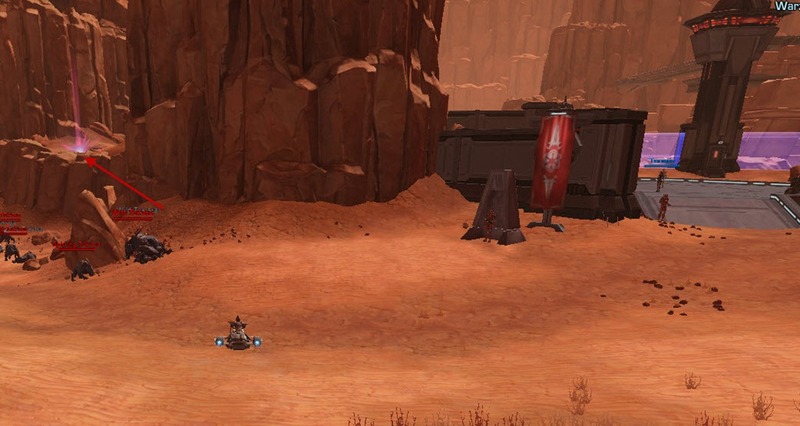 The datacron is right behind the pillars. 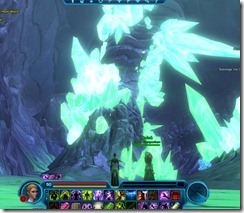 +4 endurance (102, –76.). 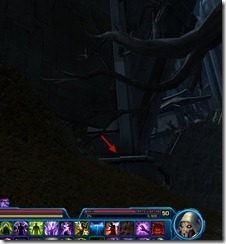 This datacron is found not too far from the Imperial base at the bottom of a canyon. 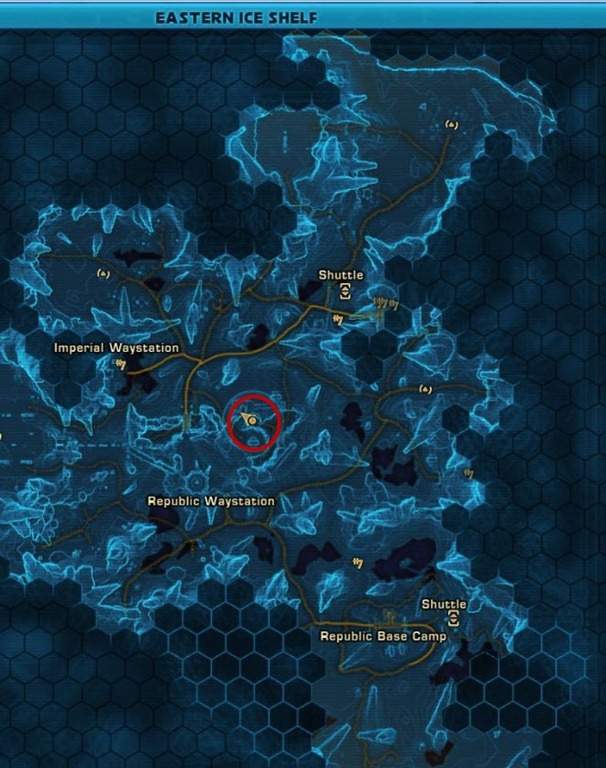 The datacon is located at one of the dead-ends. +4 Willpower (-506, 770). 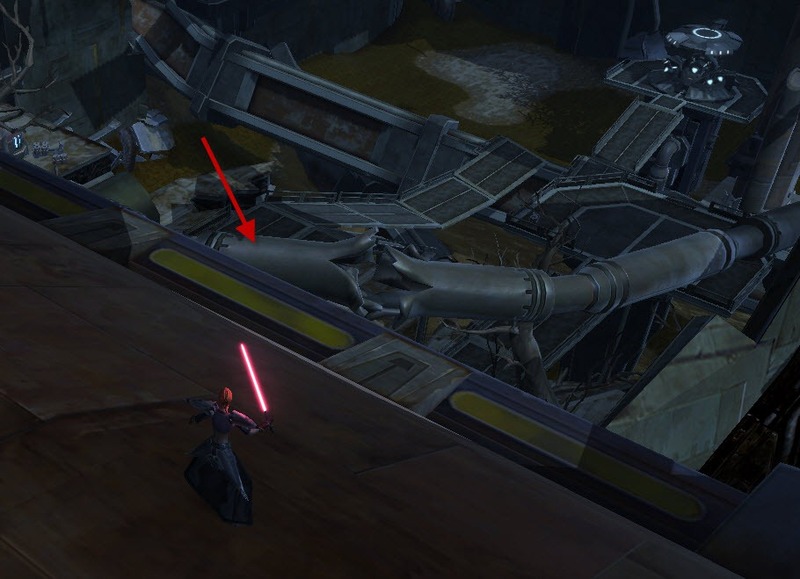 You need to take the speeder to the Imperial Command post (High security section) and follow the left path until you get to the location circled below. 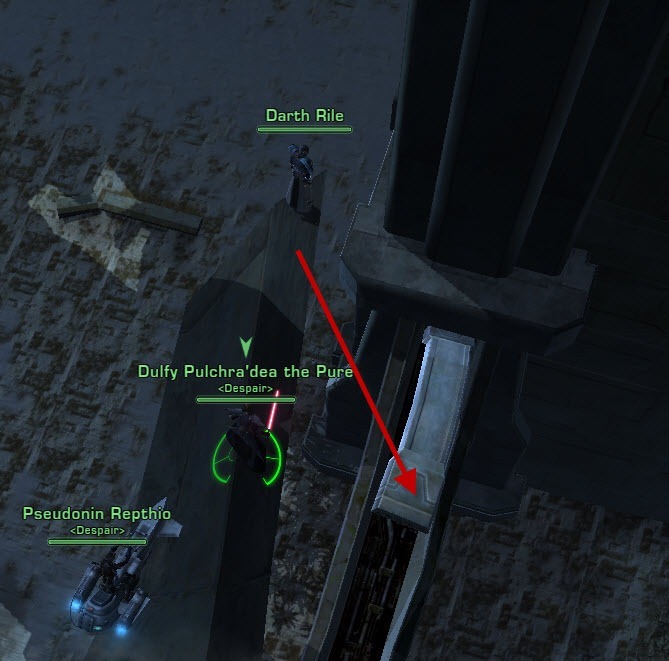 There is a hidden path here at coordinates –831, 780 which you can follow all the way to the end to obtain the datacron. +4 Endurance (-991,-448): There is an entrance to the cave at the coordinates –908, –385. 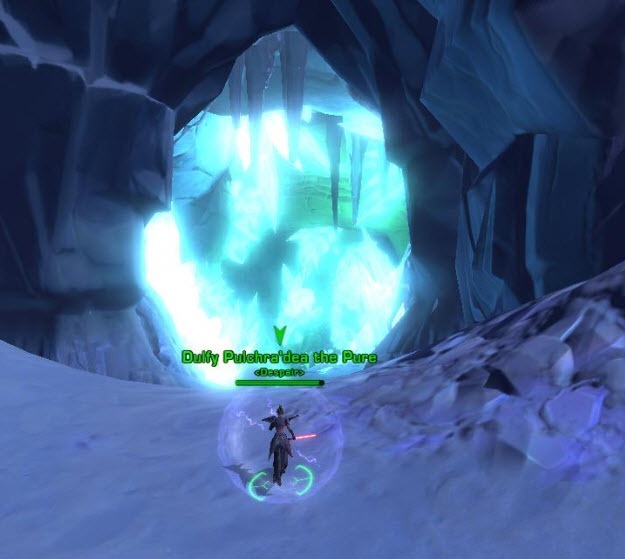 Entering this cave and at the end after you defeat a level 41 champion mob (around 60-70 k hp) you will find the datacron. 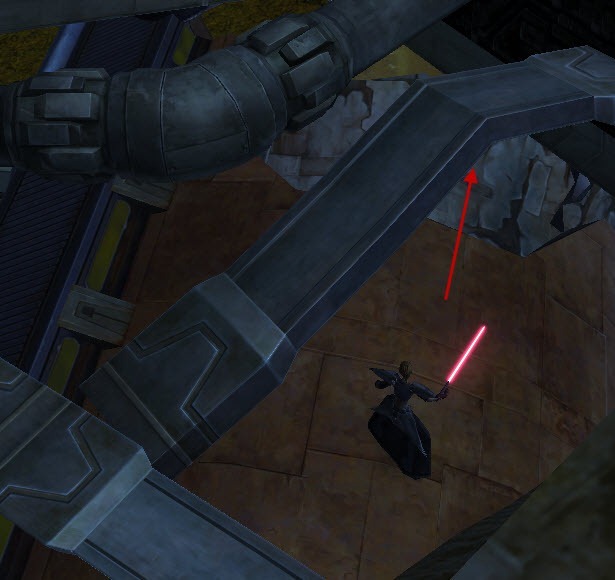 Following this cave will lead you to the ledge alongside the lava lake, following this ledge all the way to the end will lead you to the datacron. +4 willpower (-2404, 2948). Getting to this datacron can be a bit tricky and you might die once or twice. However, once you got the hang of it it is pretty easy. 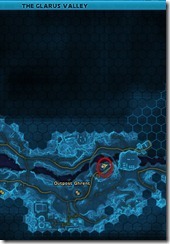 First you need to head to roughly this location on the map. 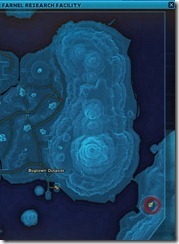 It is just south of the taxi (not tram) terminal in Incorporation Islands. 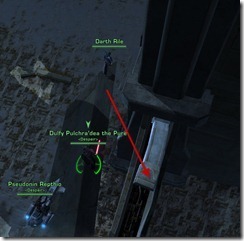 This will bring you to a ledge, overlooking the datacron. To get to that datacron, you need to jump on the little transporters that float around. Position yourself by the little orb there and look down. You need to time it so that you jump about 2 seconds before the transporter reaches the same position as the orb. 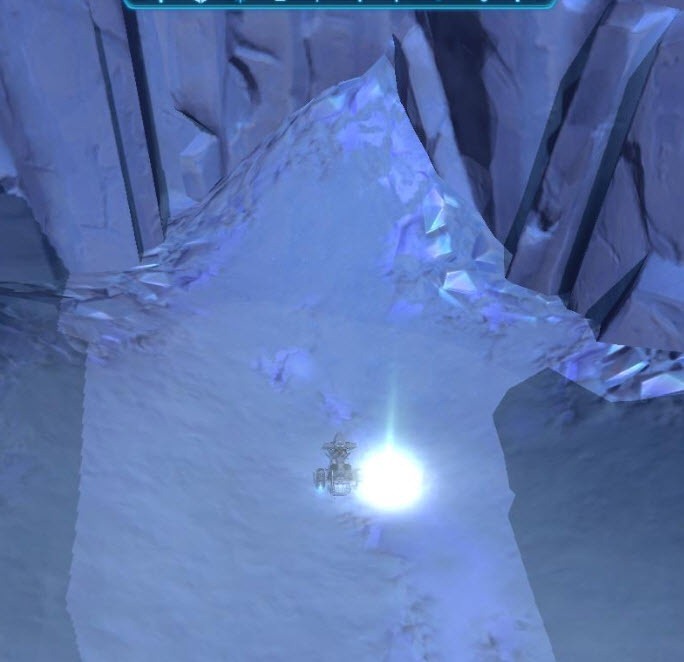 If you jump when the transporter float directly under the orb, you are going to miss. The first jump is difficult but once you get on the transporter it should be pretty easy. 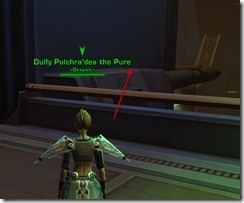 You can simply walk off the transporter when it is on top of the beam over there and reach this datacron! 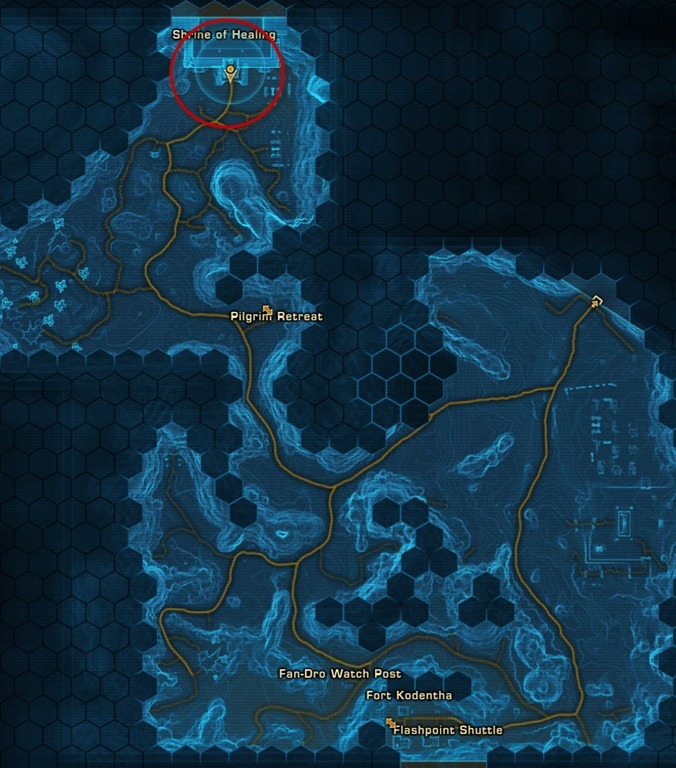 Once you are in the port area, you need to head to here (3415, –3298). 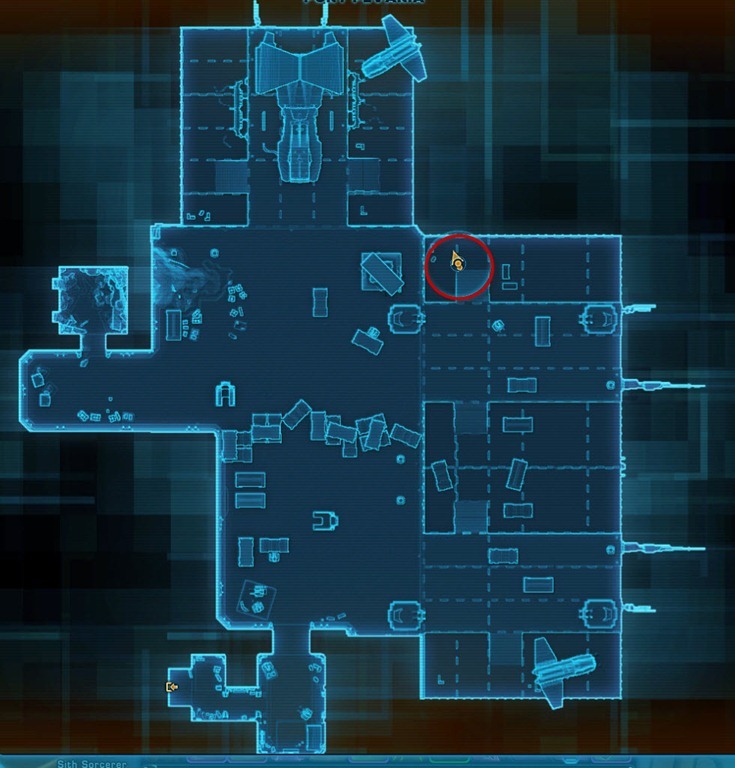 There is a tiny opening here by the intersection between two walls. 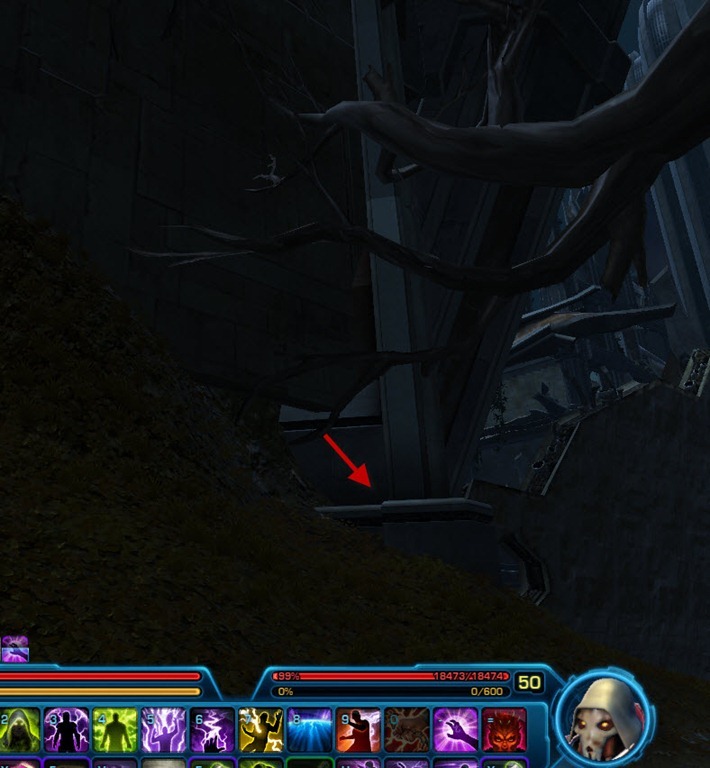 Run along the pipe, keep following it until you can see the datacron to your left. Becareful to not fall off! 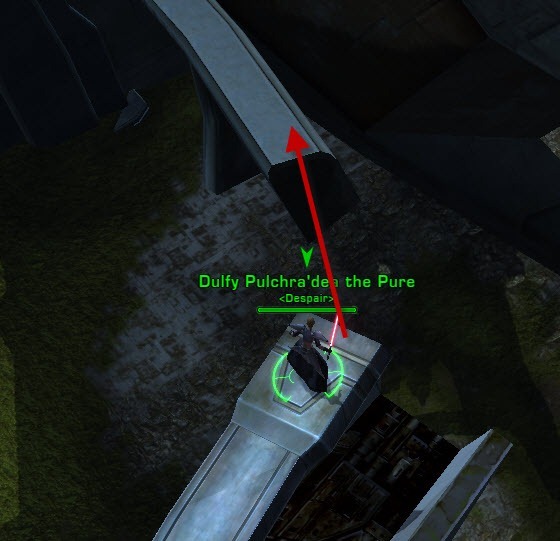 Now follow the left pipe along, keep clicking on the datacron until you can reach it, I was able to click on the datacron right where I am standing..
+4 Willpower (-29, 370). 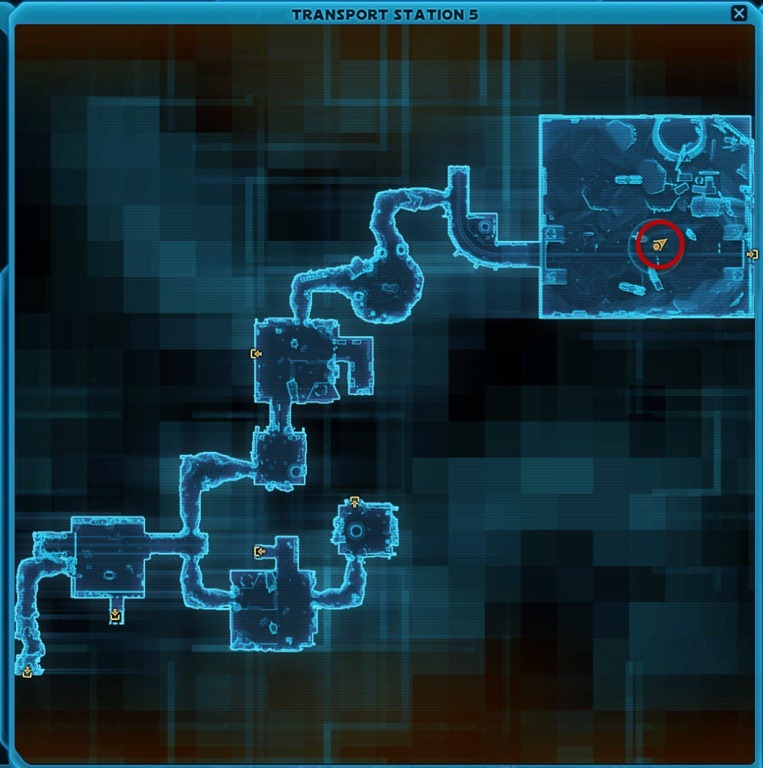 To get this datacron, you need to take the taxi to Fort Kodentha and head to the caves at the right side of the map. 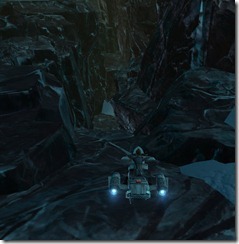 Once you are at the two caves, you want to take the path left of the leftmost cave and go up. 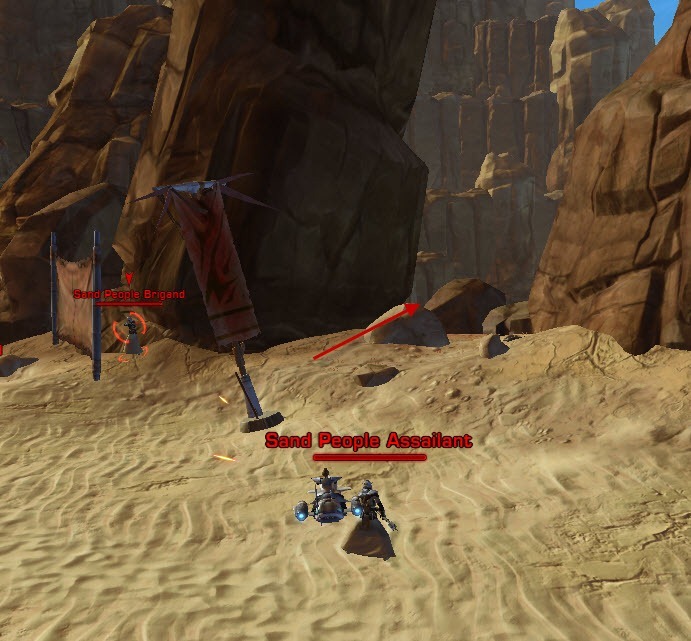 Once you are at a crossroads (a couple mobs here), take the left path but don’t go all the way to the end. 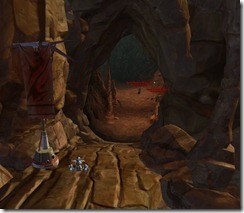 Before you reach the end of the path, if you look up you will see a cave entrance. 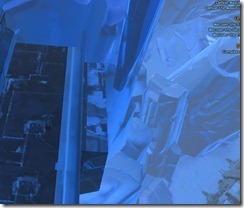 Use the rocks to jump up to the cave entrance (-388, 135). 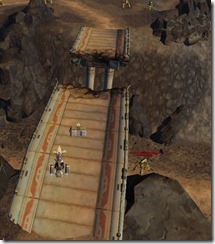 Follow the cave path and pretty soon you will reach the datacron! 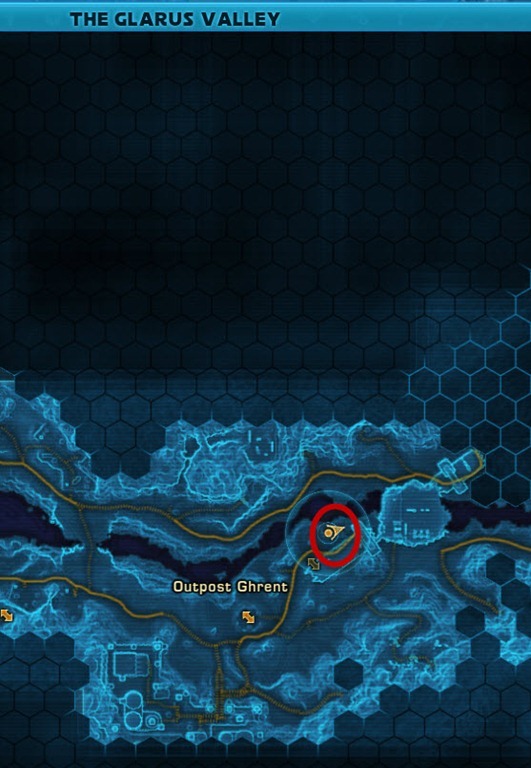 +4 Endurance (-1947, –2228). To get this crystal, you need to head to Shrine of Healing located at north of Old Paths. 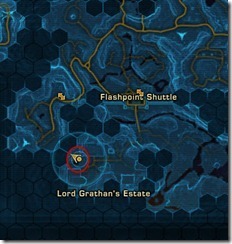 Take the taxi to Pilgrim’s Retreat if you have unlocked it. 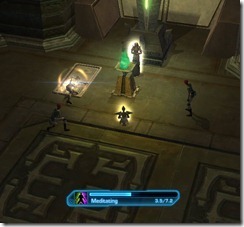 You also need to finish the Trial quest series over there that starts with quest Roadblock given by Suva-Rak. 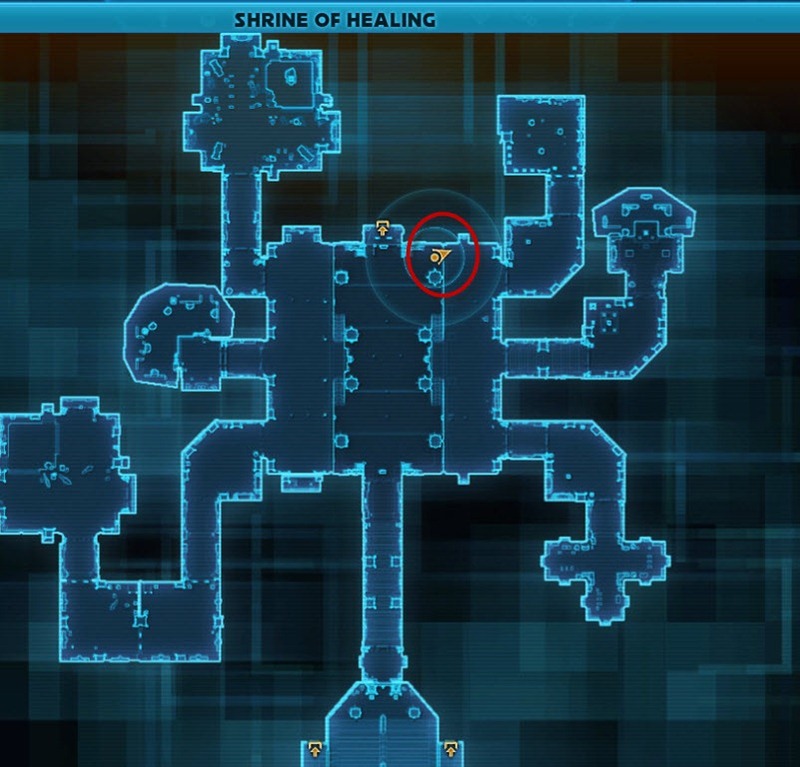 Once inside the shrine, go to the NE corner of the main room and access the crystal there. This will allow you to unlock the datacron in the middle of the room. +4 Presence (1999, -941). 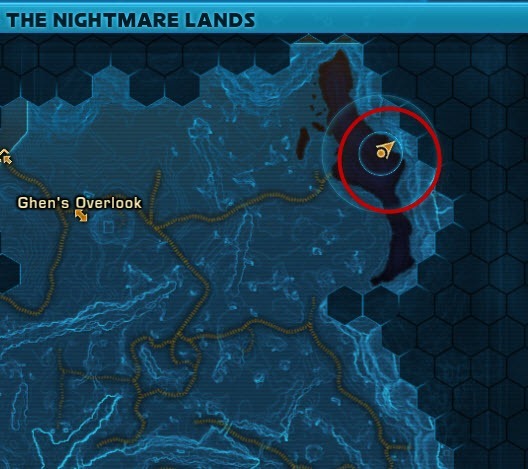 To get this datacron, all you have to do is head to the Nightmare lands (Use taxi to Ghen’s Outlook if you have unlocked it). There is a meditation tablet at the NE corner of the part at the corners 1999, –941). 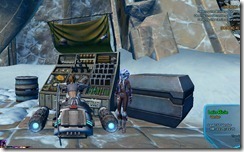 Simple click the tablet to access the spirit world and obtain the datacron. 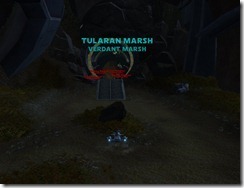 +4 endurance: (2839, –378). 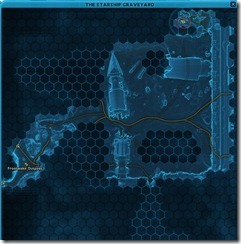 You need to head to the Starship Graveyards (take speeder to Frostwake Outpost). 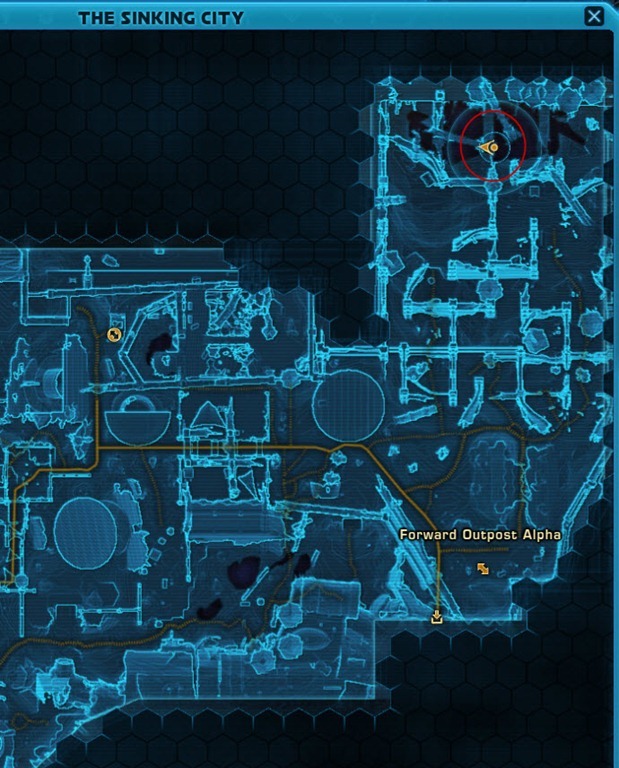 Once you are there, head to the NE most corner of the map, in the heroic area. 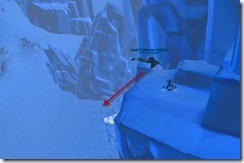 Go to coordinates 2597, –841 indicated in the map, there is a ledge there you can climb up. 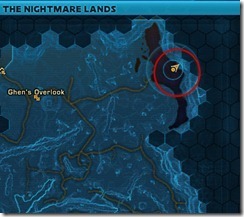 Once you are up, head for that destroyed spaceship. 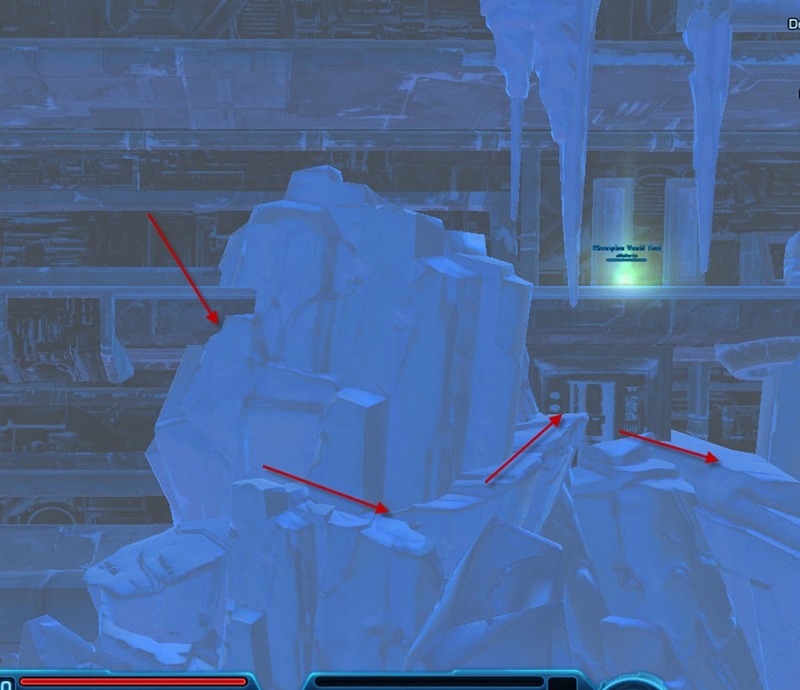 There is a small ice bridge like structure you can jump down to that will lead you to the ledge of that spaceship. Be sure to heal up before each jump as some of the falls make you take 5k to 9k damage. 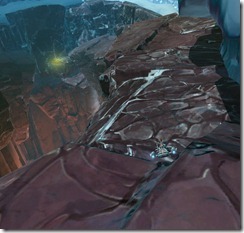 Keep following that ledge until you come to an ice block, jump down and follow it along to the next spaceship ledge. Becareful with the jumps, there is one here where you fall into it you can jump back up and have to restart over. 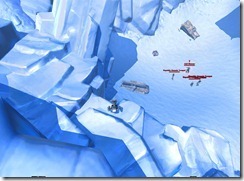 Eventually you will come to a 2nd ice blockade, this is indicated by the body of another spaceship to your right side. 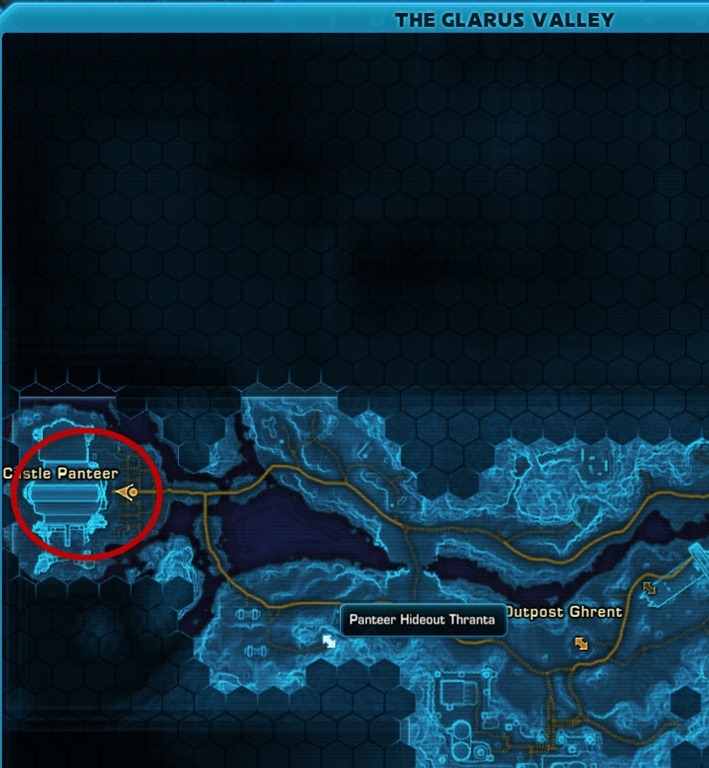 The datacron is exactly to the right of that blockade but you can’t get it yet! 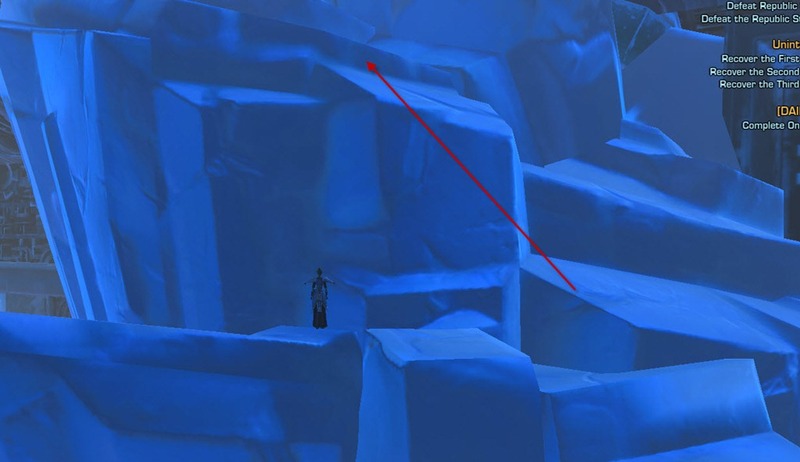 Just follow the ice down to the 3rd ledge. Eventually at 2819, –237 you will see another ice blockade, this time with a path leading up. 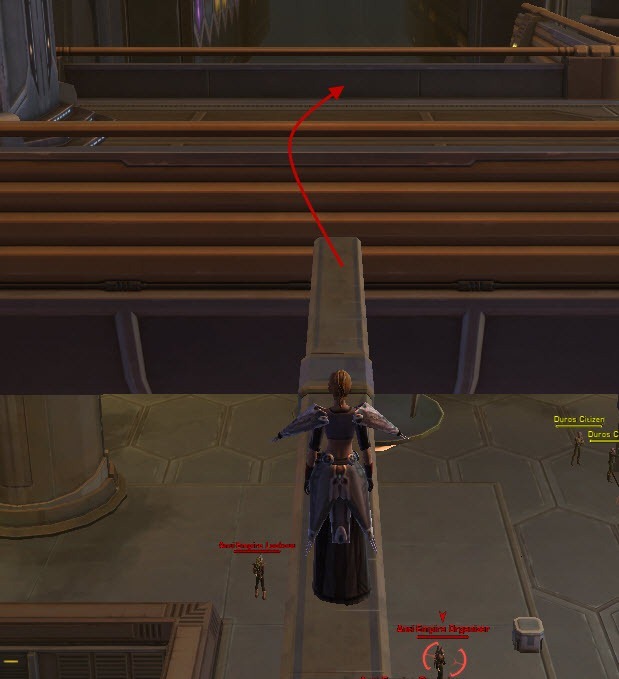 This will bring you to the upper level of the spaceship ledge, just follow it and jump up on the ice block to the left and this will lead you to the datacron! +4 Presence (1040, –1244): Head to Glacial Fissures (take the speeder to Thesh Outpost if you have unlocked it). 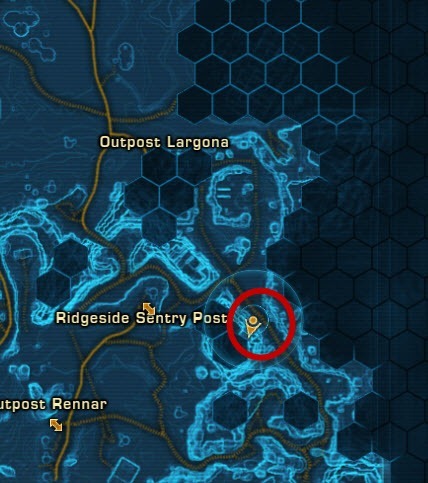 Once again you need to head to the NE corner of the map, at coordinates 1043, –1058 marked on the map below there is a cave there. Once you get past the cave, take a left and head to the republic satellite station way up top at the left. Jump up on these ice rocks to the left. 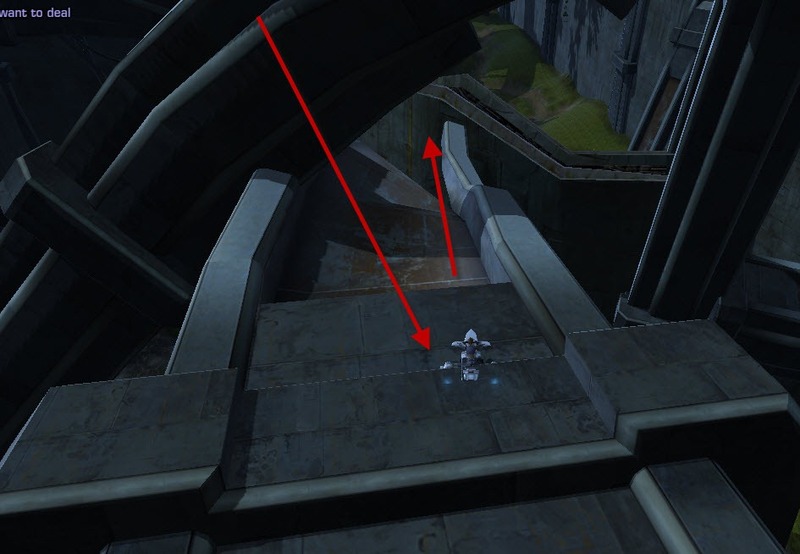 Follow it until there is a ledge, then jump off and land on the uphill side. 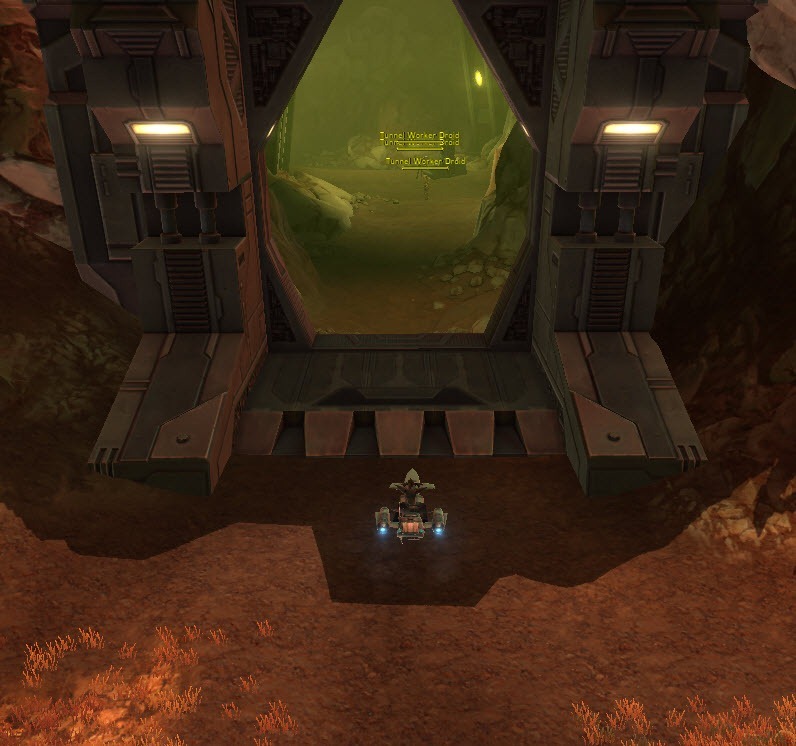 Take a right when you come to an intersection and there is another cave like thingie you follow to get to the datacron! 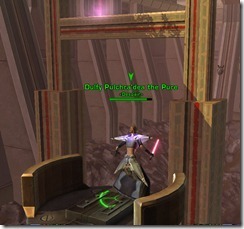 +4 Endurance (208, 772): This datacron is pretty straight forward for a sith inquisitor. Take the speeder to Imperial Outpost and go to coordinates (448. 788) marked on the map. 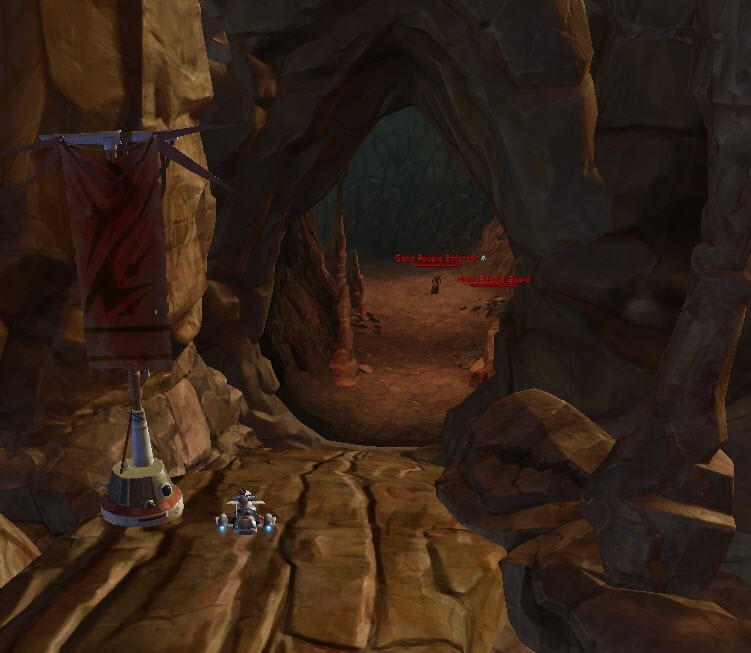 Once you are there, you will see a cave entrance, go into the cave. 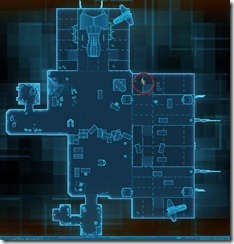 Go to the middle of the cave, there will be a room with panels outside the room. 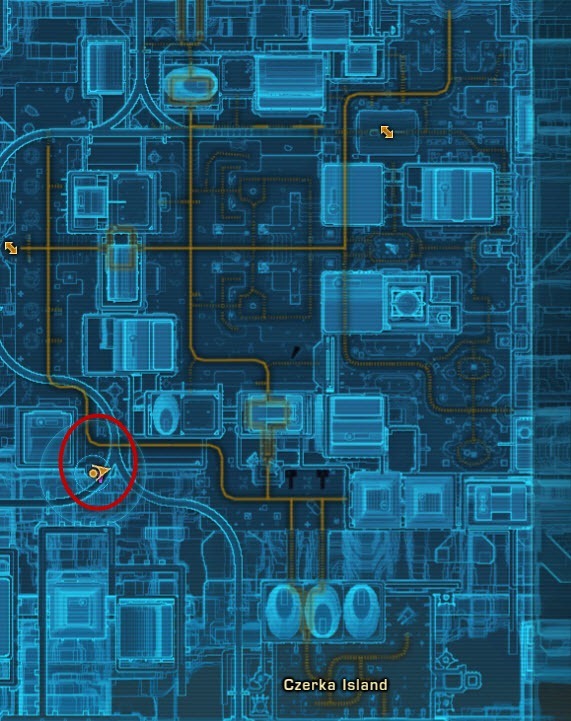 You need to access the panels while inside the room as otherwise you will get locked out of the room when the panel activates a force field Simply position yourself against the wall such that you are stand right behind the panel. 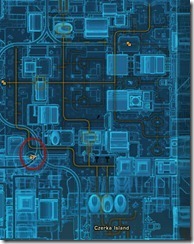 Pan your camera around to click on the panel. 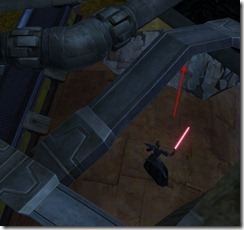 This will activate the force field and release poison gas. 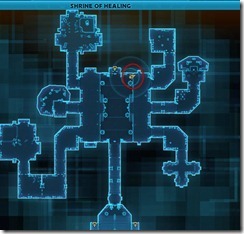 Use either a healing companion or heal yourself. There are two override panels inside the room, activate one and use pop Force speed and run to the next. 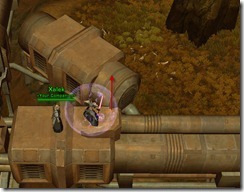 Getting both panels will unlock a force field nearby that allow you access to the datacron. 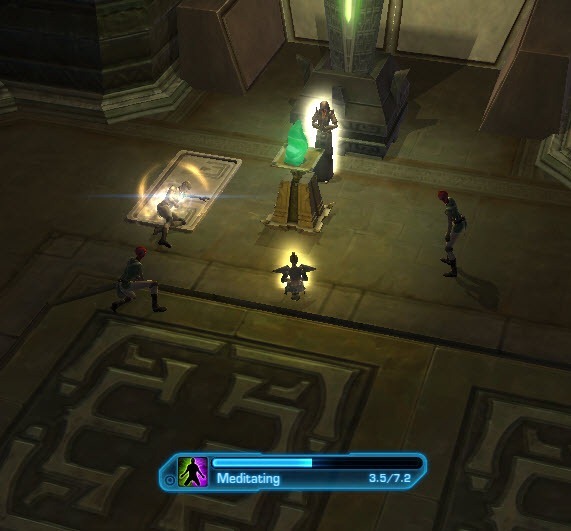 +4 Willpower (439, –765): This datacron is probably the most frustrating datacron for me. I have literally spent 2 hrs trying to get this one and gave up in the end of trying to get it by myself. 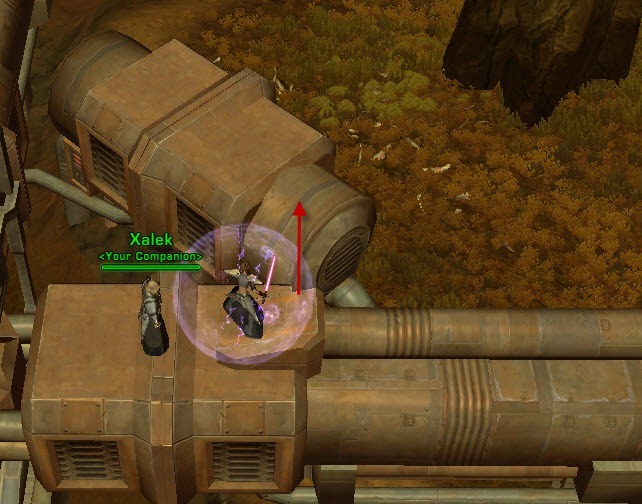 Instead, I asked a friend who is also a sith sorc with the extrication ability and better jump skills to grab me instead! 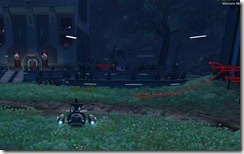 This datacron is located in NE corner of Sinking Cities, take the speeder to Forward Outpost Alpha. 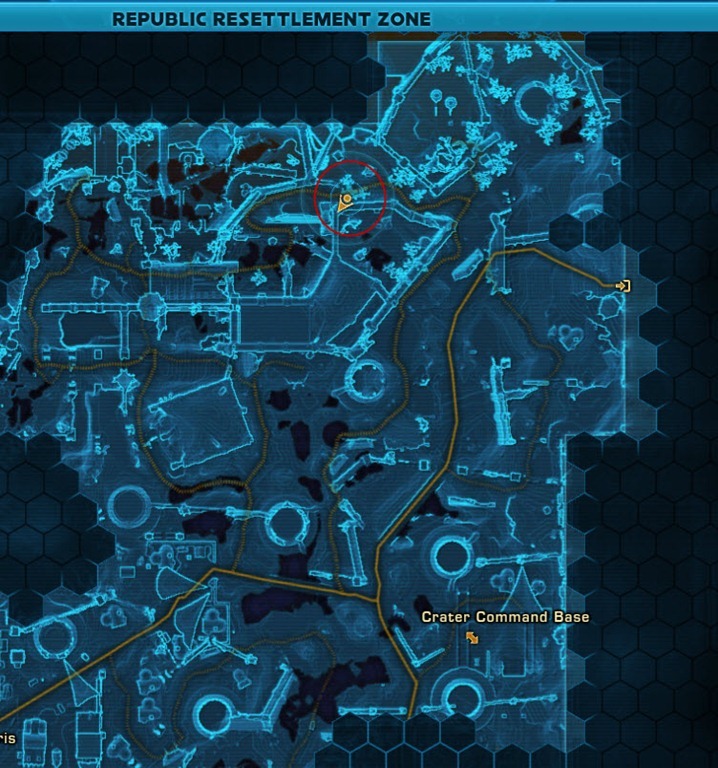 Once you are there, head to this coordinate marked in the map below (365, –904) and climb up the beam. 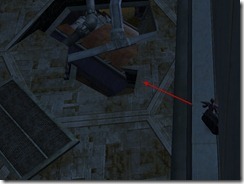 Once you are up on the beam, drop down to the horizontal pillar to the right and start heading forward. 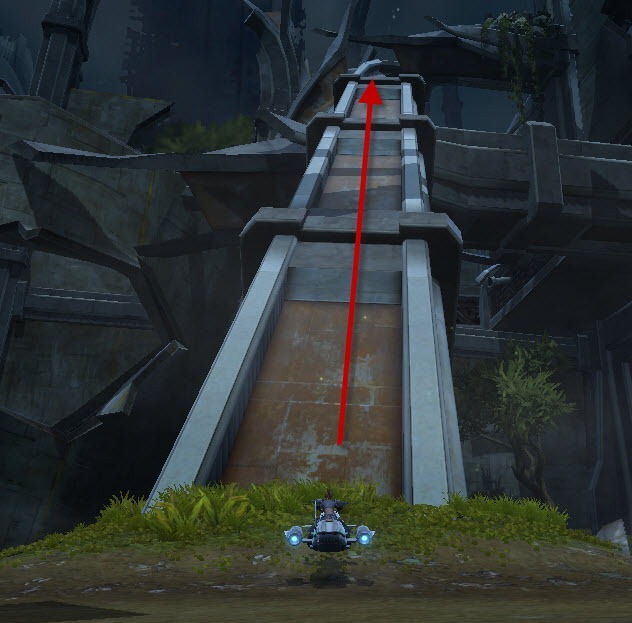 Once you reach the end of that pillar, you will come across another structure. 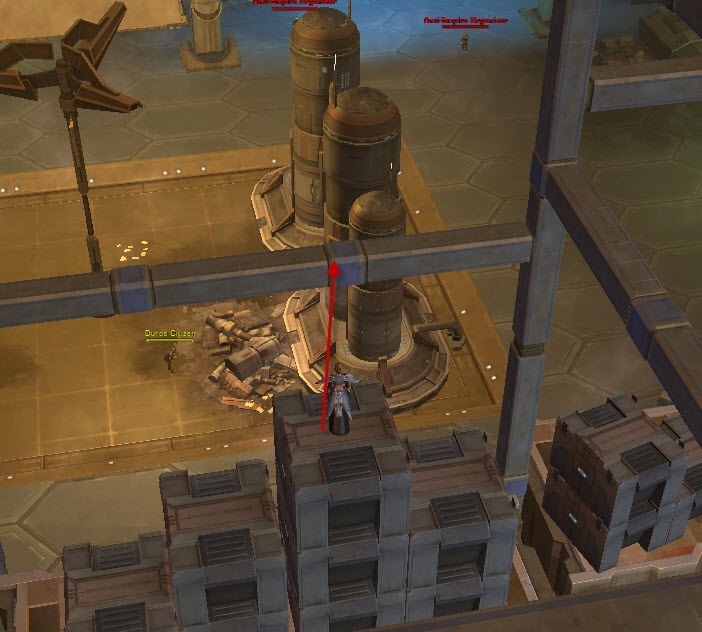 Beware there is a small gap between the pillar and the new structure and you can get stuck in the small gap if you are not careful. I find it best to aim abit sideways rather than directly forward when jumping to the new structure. 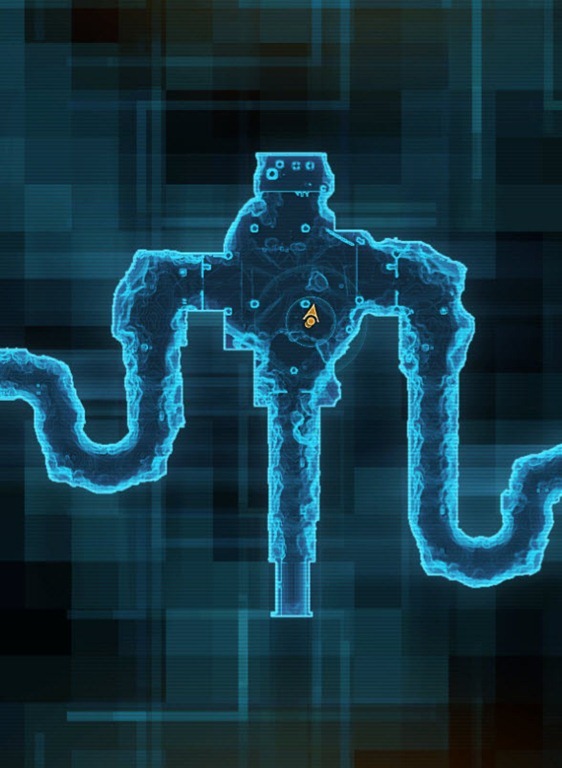 Follow this structure to the end, you will come to this place. Now this is probably going to be the most difficult jump. 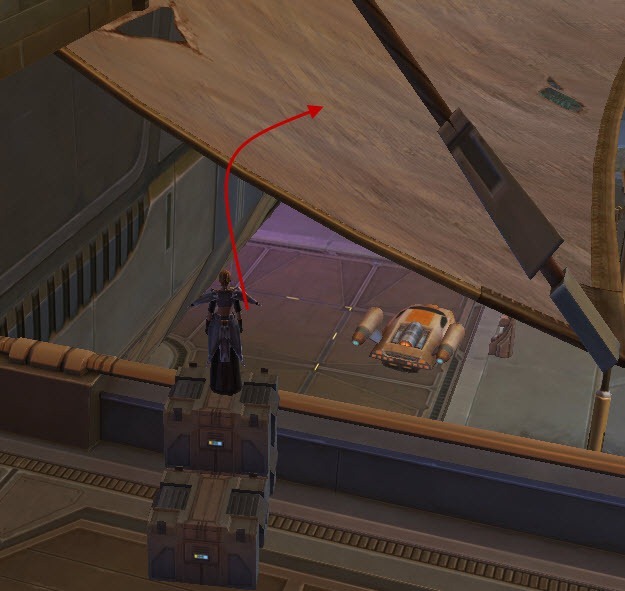 I literally failed this jump over 20 times. 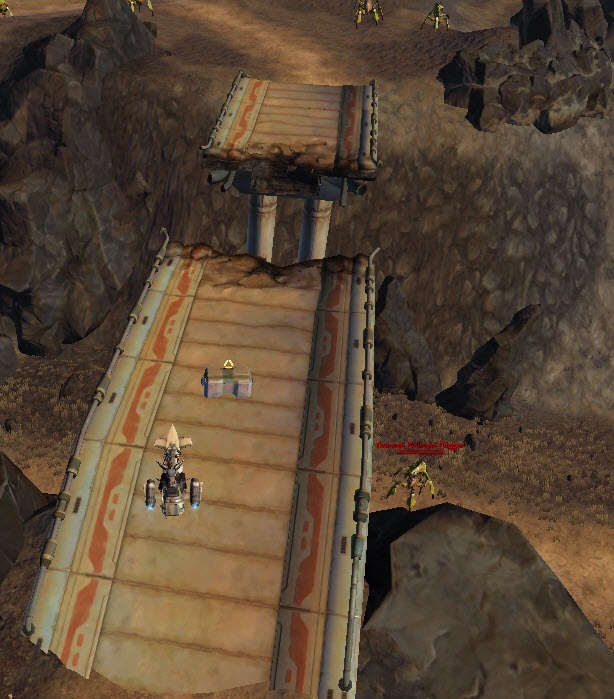 Some people are able to make this jump with one try but I have rather fail jumping abilities. 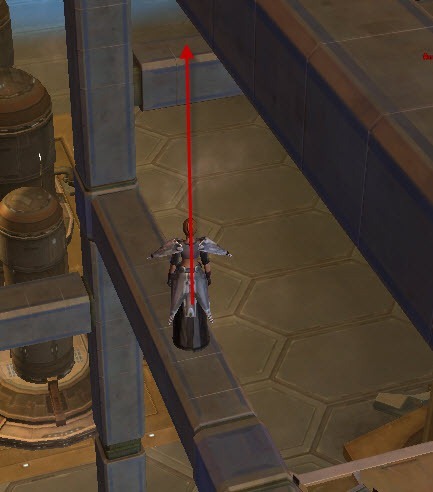 Instead of going up in the air and then down when jumping, my character seem to fall straight down and miss the mark. 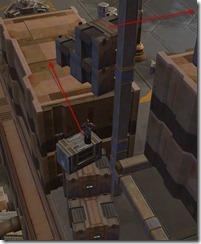 You need to jump from the structure you are on to this beam right across it as indicated by the arrows below. Once you make the jump, keep following it. 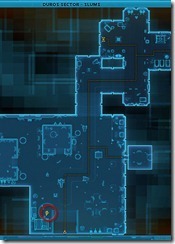 You will encounter a rather large vertical l pillar with ledges around it that you can circle around. Once you get past that, you will make the next difficult jump. 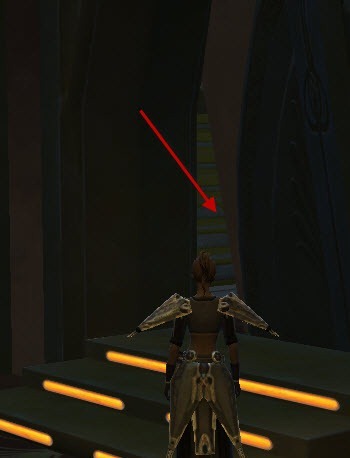 You need to go to the tip of the thingie that sticks out in the end and then orient your character so it faces the beam below and jump down to that beam (see the arrow for where to position your character and where to jump). 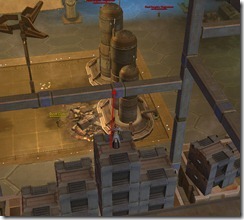 Once you made that jump, you are almost on the home stretch but you are not quite there yet. 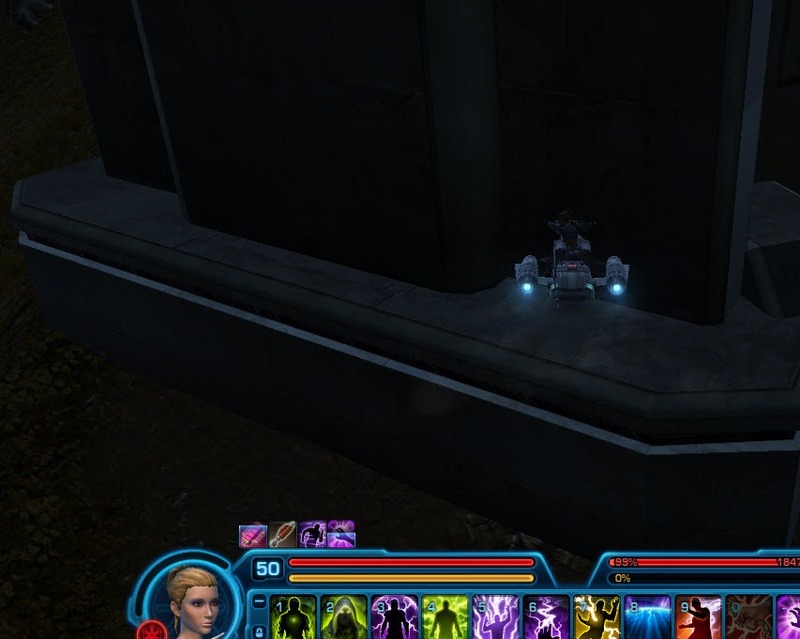 I highly recommend getting on your speeder now as near the datacron there is a break in the flooring that you can step in and fall off. 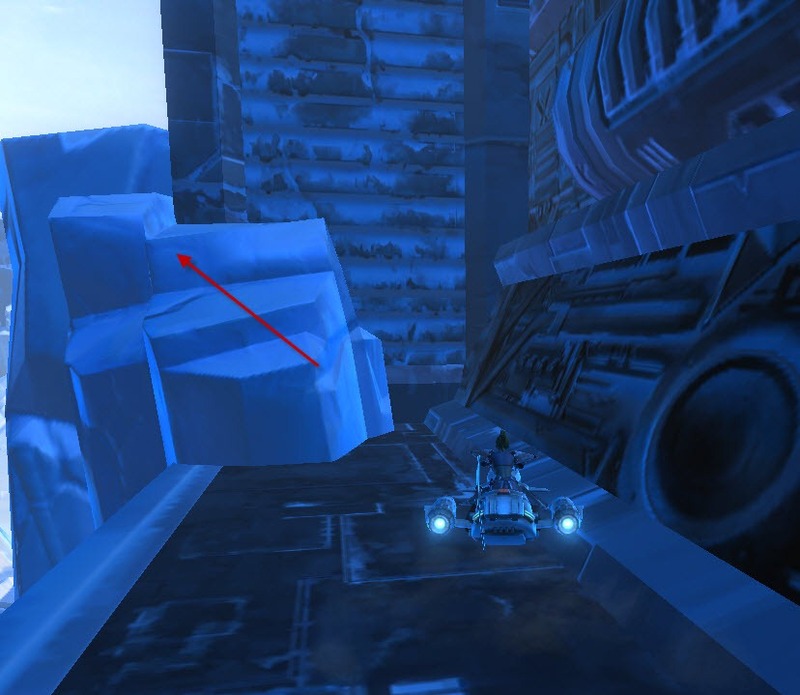 With the speed boost provided by your speeder, you should not fall off if you don’t stop midway. 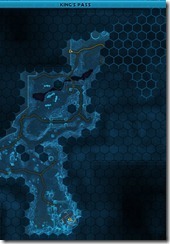 +3 Endurance (-1513, –253) This datacon is located in the Republic Resettlement Zone. 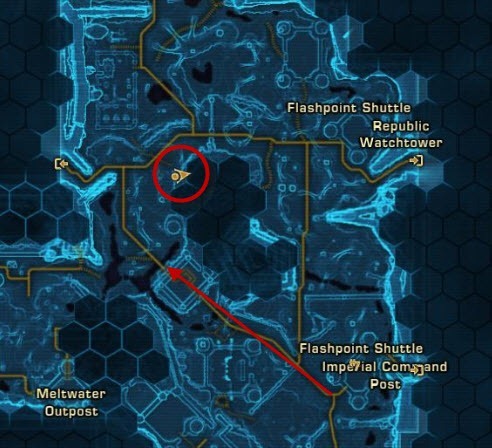 Head to Crater Command base and then go way north on the map until you reach a pillar with a small ledge surrounding it at coordinates –1367, –208 marked on the map. Jump on the ledge and follow it. 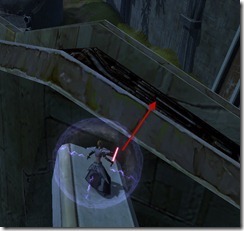 Follow the ledge, hug the left wall and keep following the ledge until you reach the area with two metal grates. 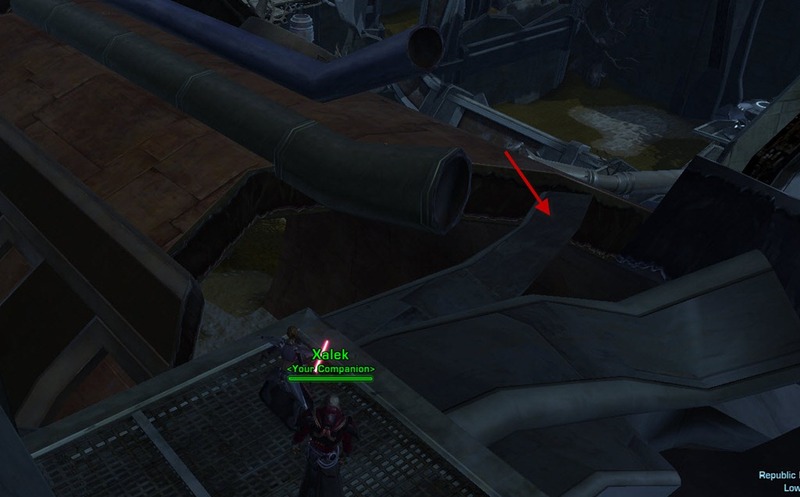 Jump on the 2nd metal grate and then jump on the left broken metal and then make the jump to the big red pipe (I use force speed + jump for this). 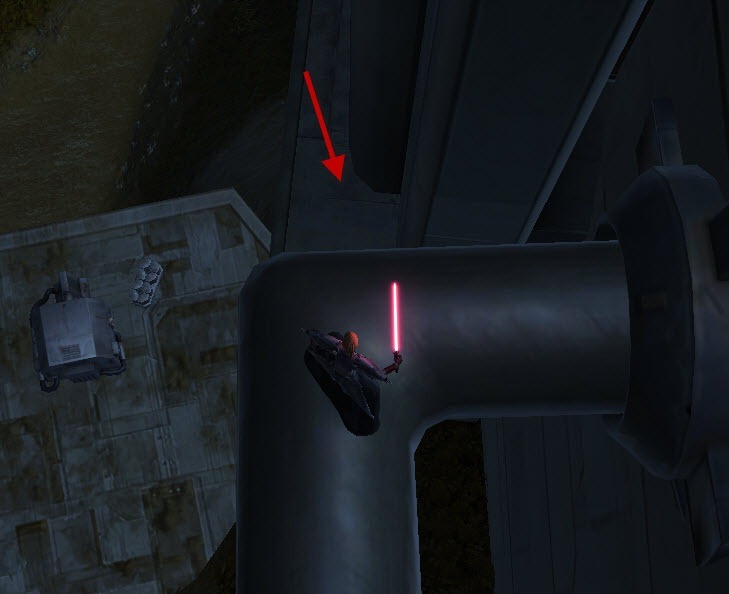 After the red pipe, you need to make the jump to the small pipe (force speed + jump here is not a good idea as you might jump too far). 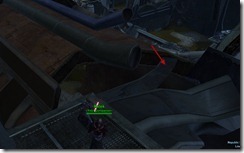 Once you are on the small pipe, mind the small gap there and jump over it. Once you arrive at the end of the pipe, jump down to the ledge (not the floor) below. 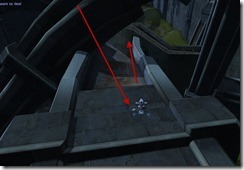 Once you are on the ledge, keep following it until you get to here and then jump on the floor below. 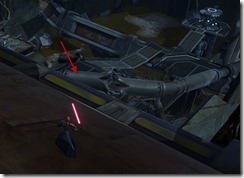 Jump on the big red pipe in the hole and then the datacron should be just a bit below the end of the red pipe. 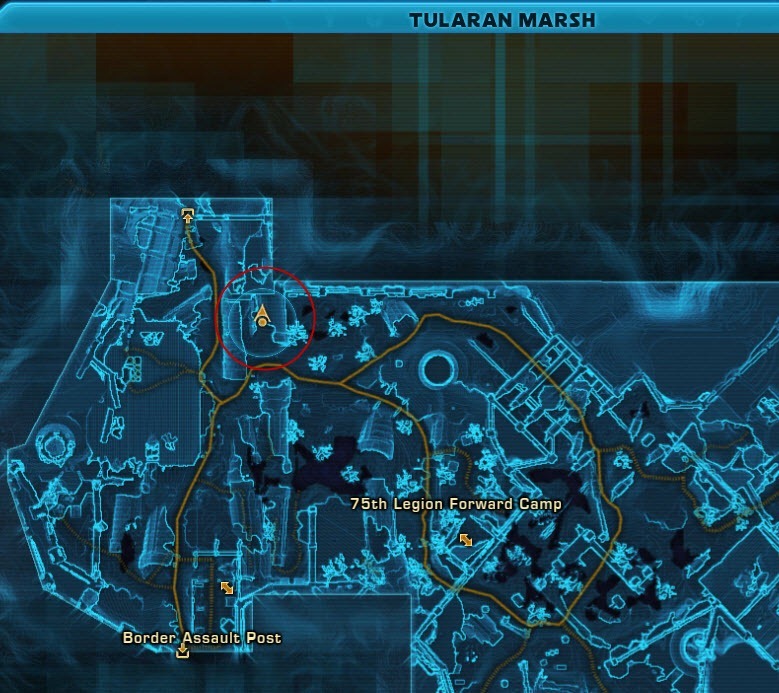 +4 Presence (1187, –575): Head to 75th Legion Forward Camp in Tularan Marsh. 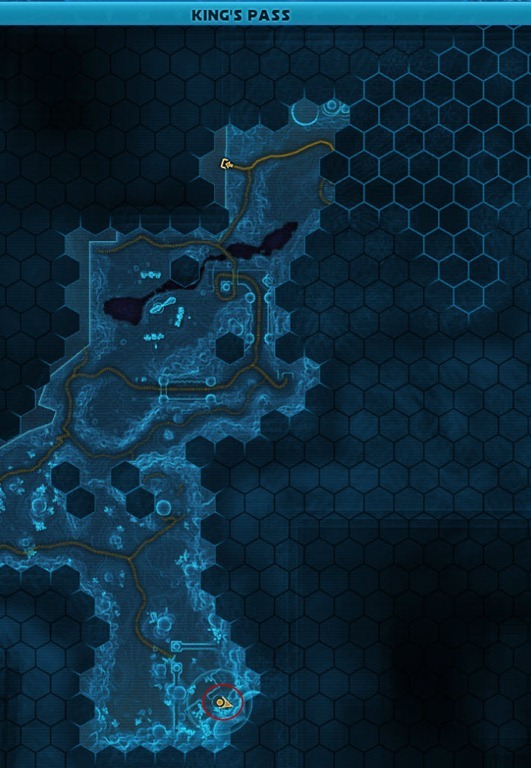 Go to the NW part of the map and go to coordiates (390. 50) and head to a cave/pipe like structure. 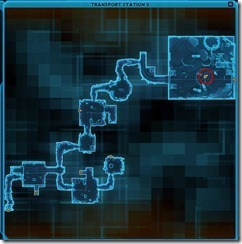 You enter a structure called Transport Station 5, keep going to the open area in the end. 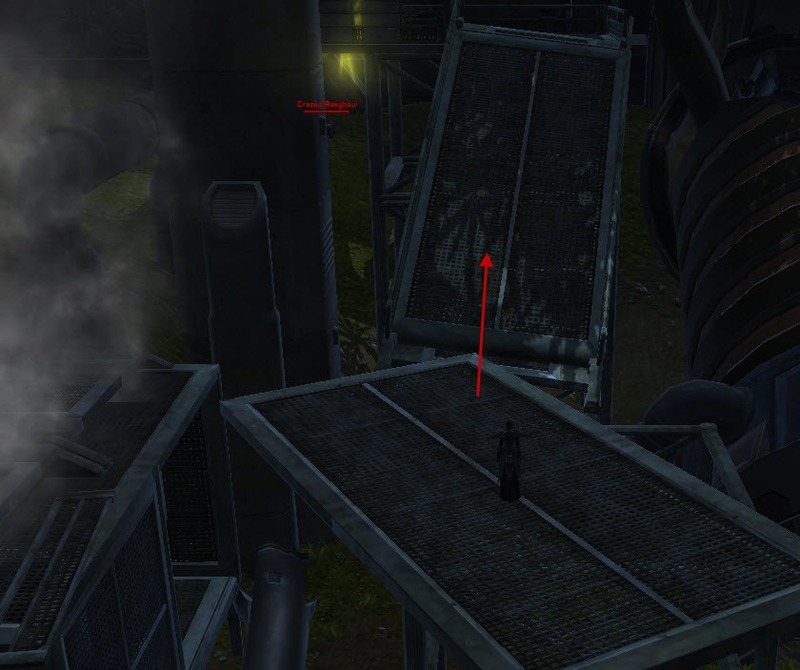 Look to your left, you need to climb on that pipe and then jump to the metal grate. 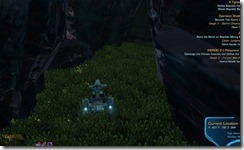 To get to the 2nd metal crate, you need to use Force speed + jump as the jump is quite far. 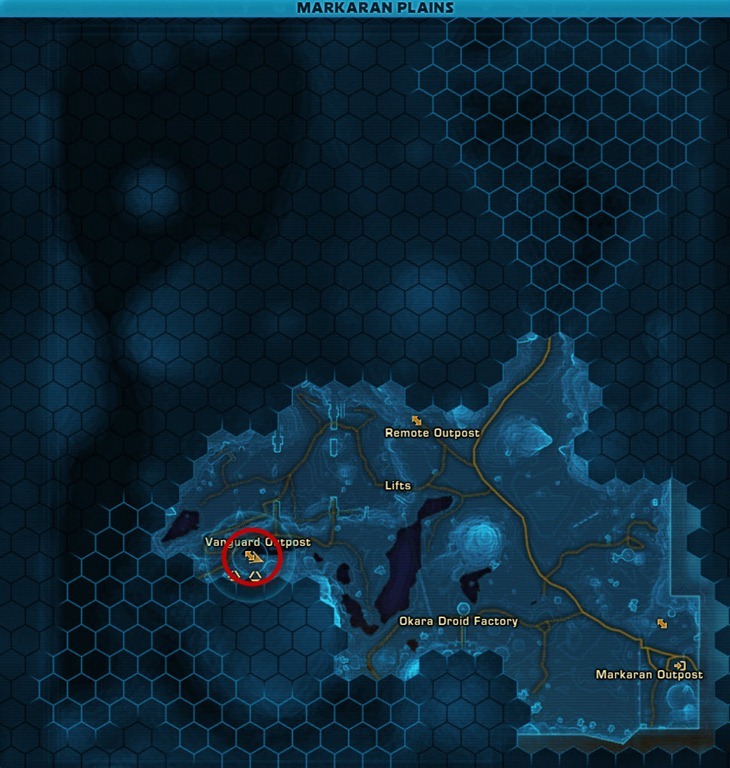 +3 Endurance (2722, 2496): To get this datacron, head to Outpost Talarn in the Juran Mountains. You need to purchase a Red Detonite Actuator from the vendor south of the Outpost at coordinates 1866, 1084 marked on the map. 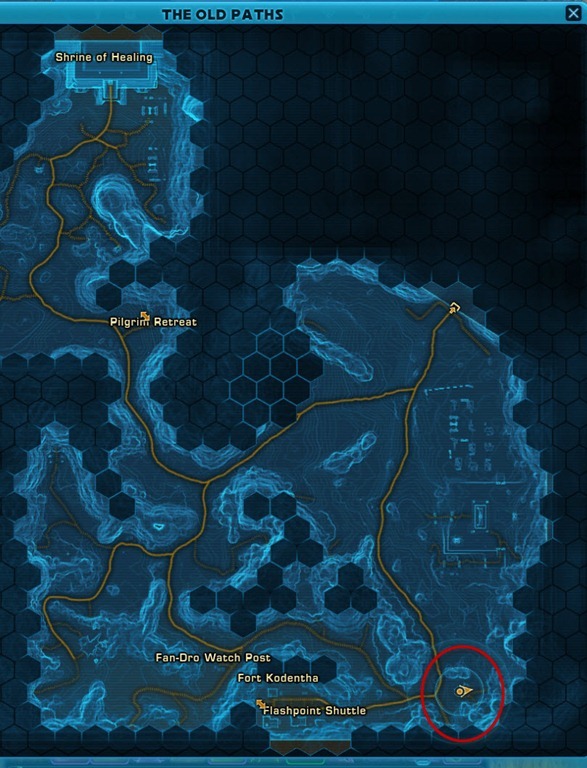 Once you have the item (costs 2k credits), head to King’s Pass and go to the very south portion of the map at coordinates 2370, 2443 marked on the map you will find a cave filled with level 40 elites. 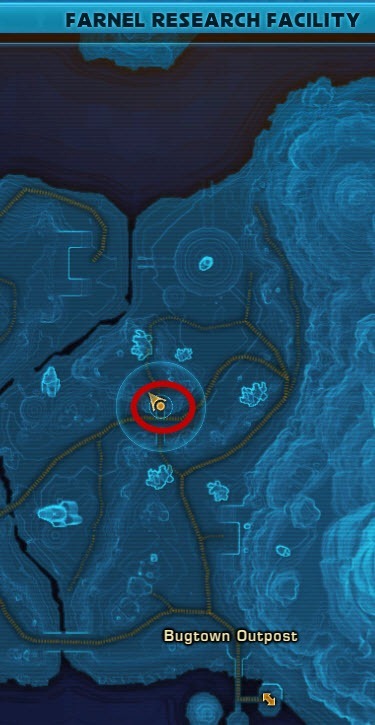 Once inside the cave, head to this location marked in the map. 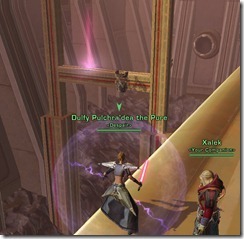 On the wall should be something you can click and detonate to open up a new entrance which lead you to the datacron. +3 Willpower (-2508, –428): This one is pretty easy to get. 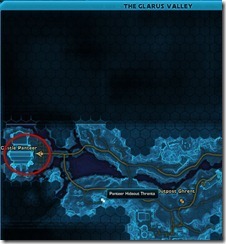 Head to Glarus Vallery (take speeder to Panteer Hideout or Outpost Ghrent) Then go west to Castle Panteer. 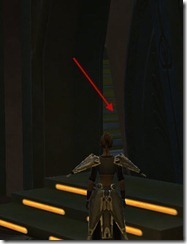 Once you are inside the castle main room, head to the SW corner and look for a door. There is a small crack you can slip through! 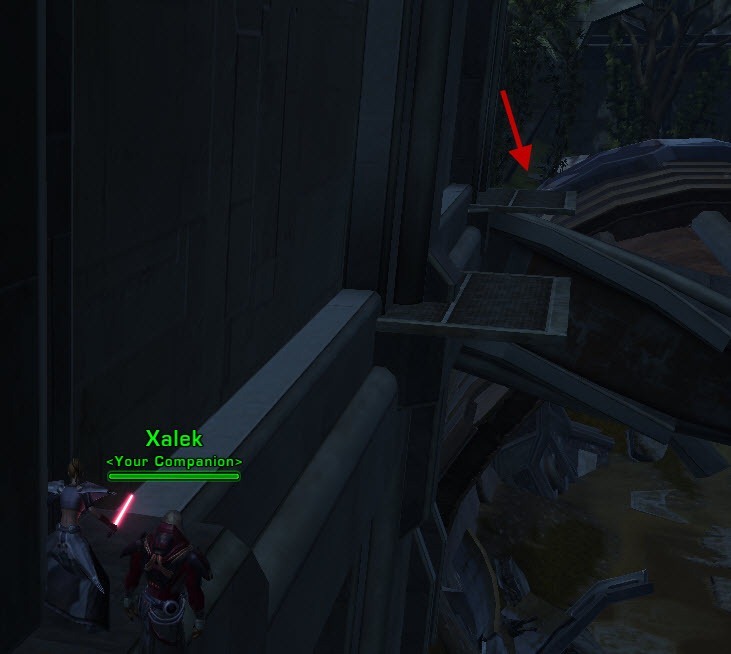 Take the stairs.. then take a right once you are on the top floor and go around the Balcony until you reach the broken statue. 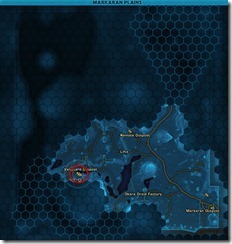 The datacon is located there. 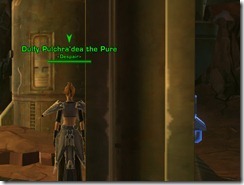 You are looking for something called Saddled Thranta. 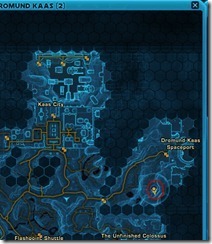 Click on it and it will transport you right to where the datacron is. 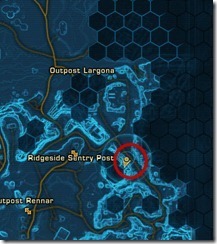 Once you are done, click on /stuck and get ported back. +3 Willpower (2074, –578). 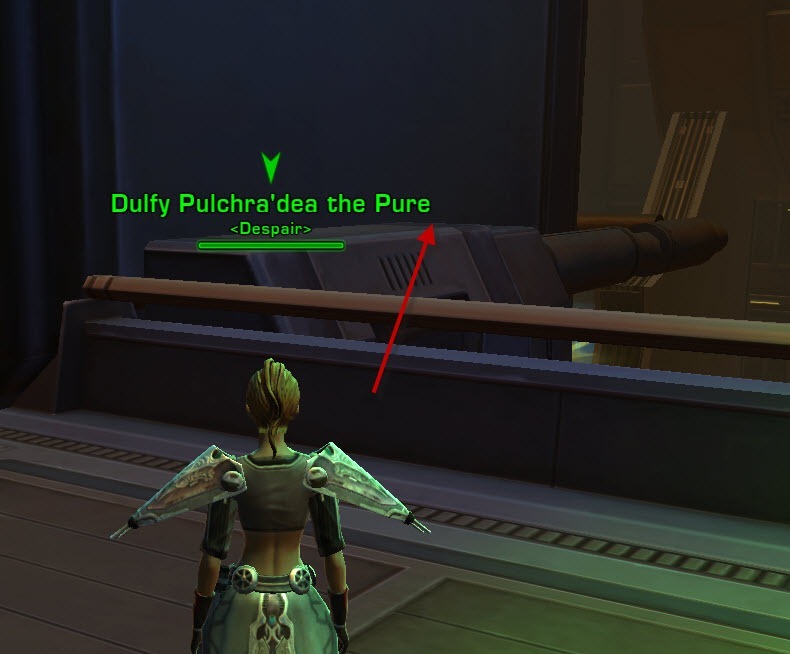 This datacron is in Jundland. 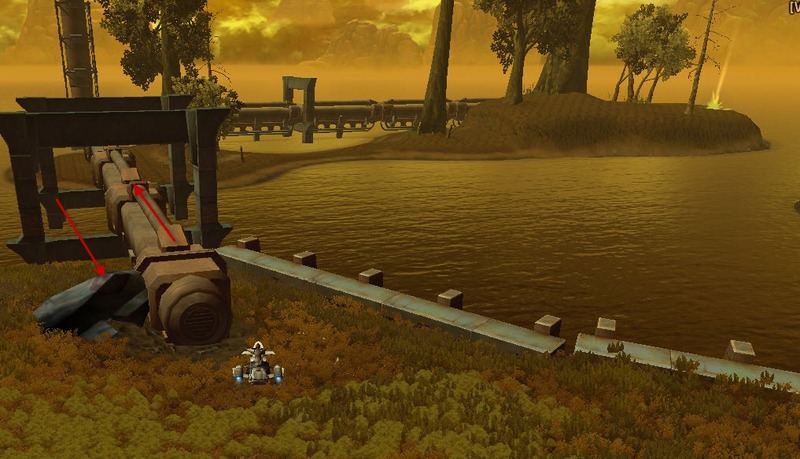 Take the speeder to Outpost Rennar or Ridgside Sentry Post and then head to 2048, –498. 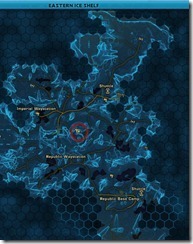 You will see the datacon right away but you can’t get at it yet. 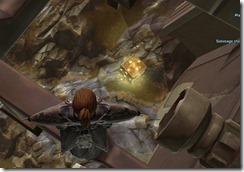 What you need to do is to turn to the other side of the path and jump off the cliff! 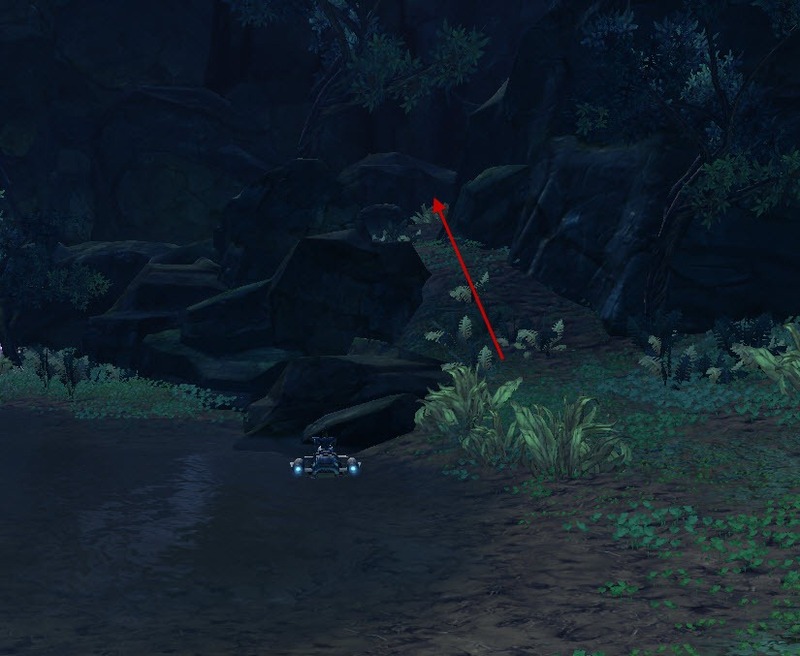 There is a ledge behind this large you can follow. 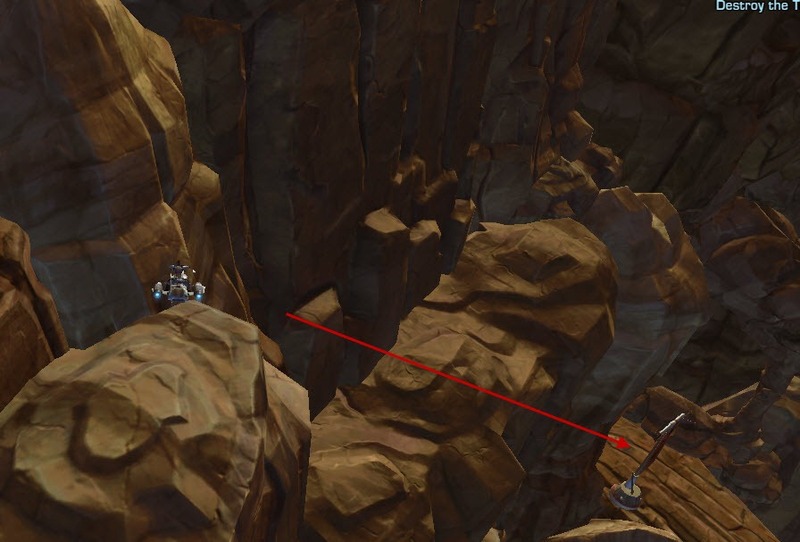 Keep moving down the rocks, you are aiming for the piece of rock extruding out with a flag attached to it. 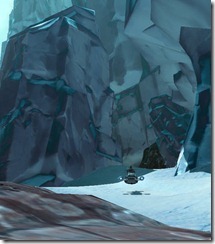 There is a cave entrance on that rock, follow the cave to the end and you will arrive at the datacon! 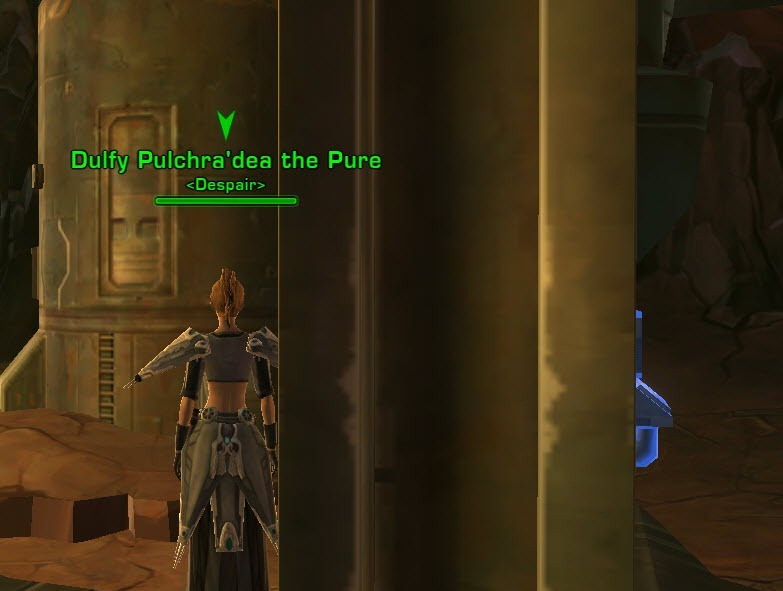 +3 Presence (2925, 399): I want to say that this datacron is almost as annoying as the one on Taris due to the amount of jumping involved and the amount of fail you can achieve before you finally give up or get it. 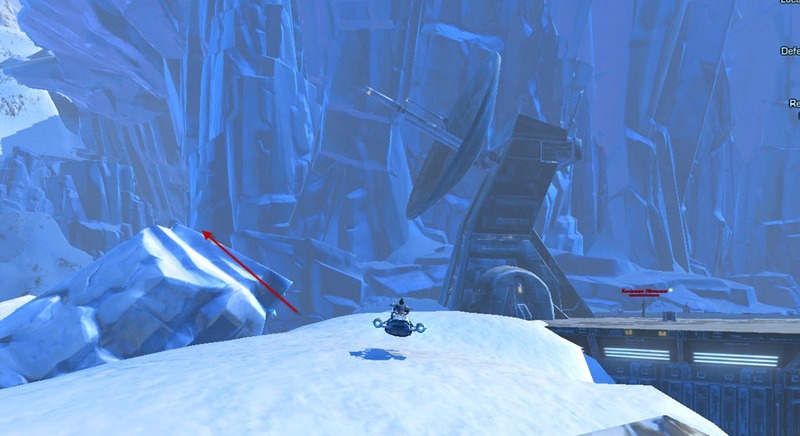 There are 4 diffcult jumps, if you don’t make them, you have to start all over but at least you don’t die and have to run all the way as a level 50 character. 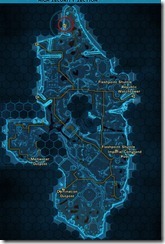 First, head to Duros Slums. 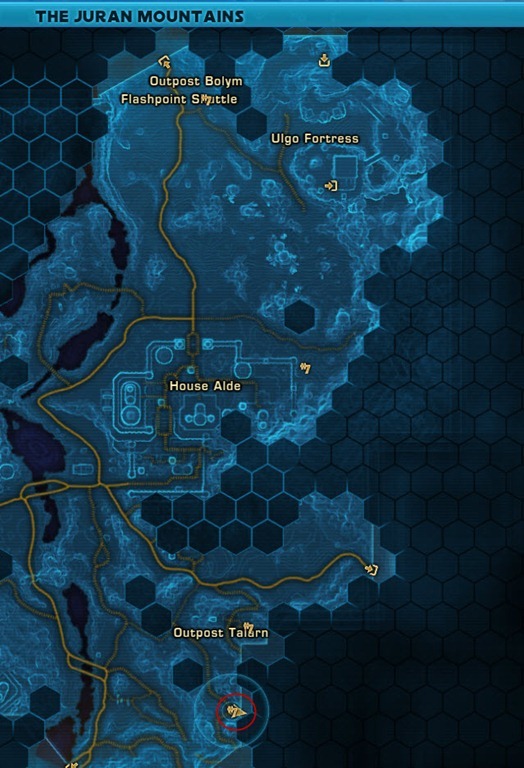 Then head to the bottom left corner of the map. 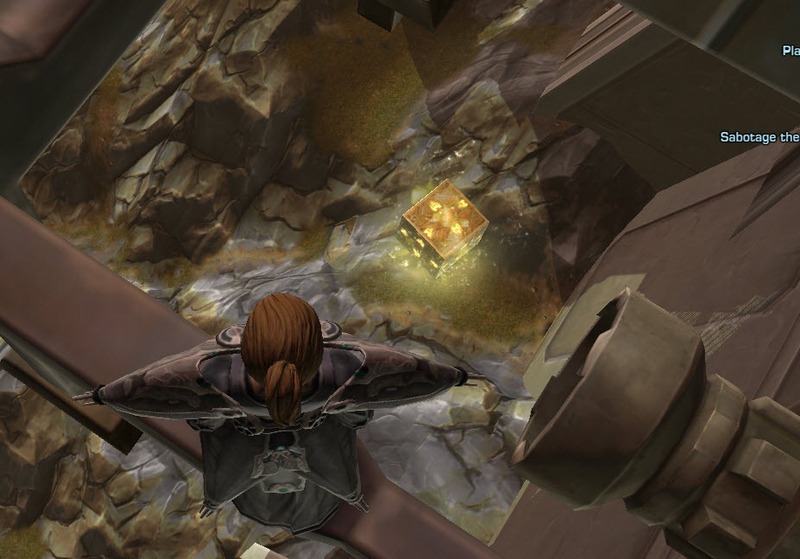 You will see stacks of boxes, climb up! Jump up to the first big box and then jump up on the boxes on top of the first big box to the 2nd big box. 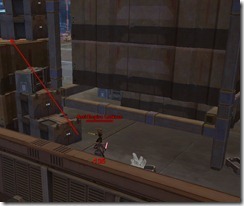 Once you are at the top of the pile of boxes, you need to jump to the 1st beam. 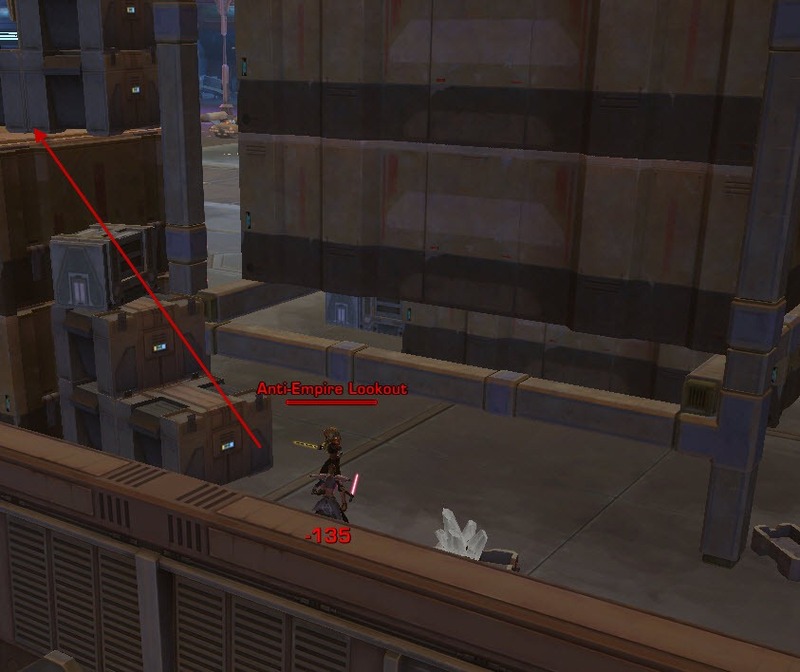 Just stand where I am standing so you don’t over jump it. 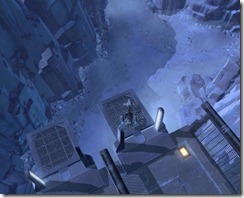 Next, you need to jump to the 2nd pillar. 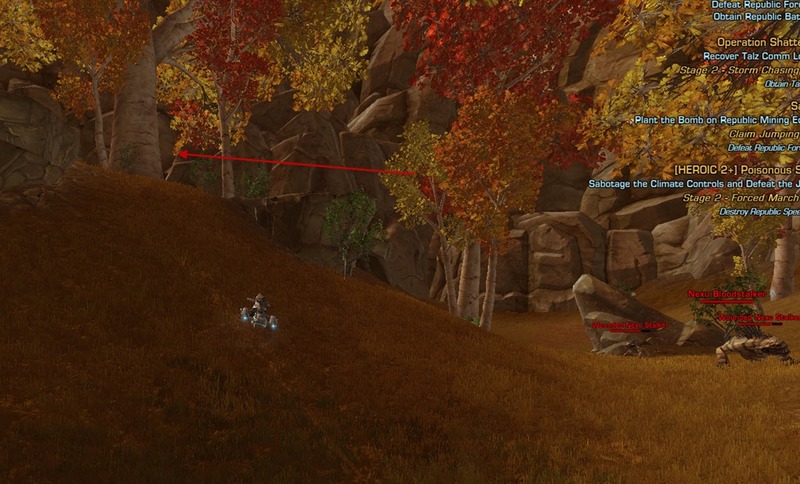 Where I am standing is a good location to jump, you might need to move closer a tiny bit. 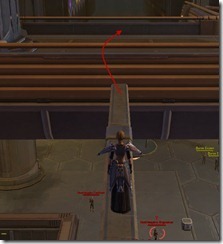 Now onto the 3rd beam.. Where my character is standing is a good place to take off. Once you are on the beam, run along and go to the platform. One more jump left! 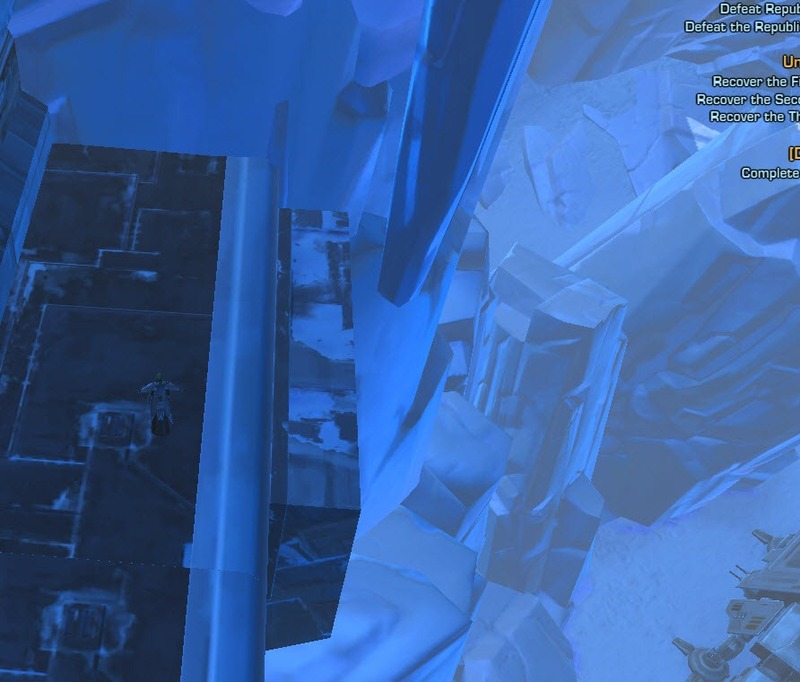 This jump is not very easy and I failed it about 10 times before I finally managed it. 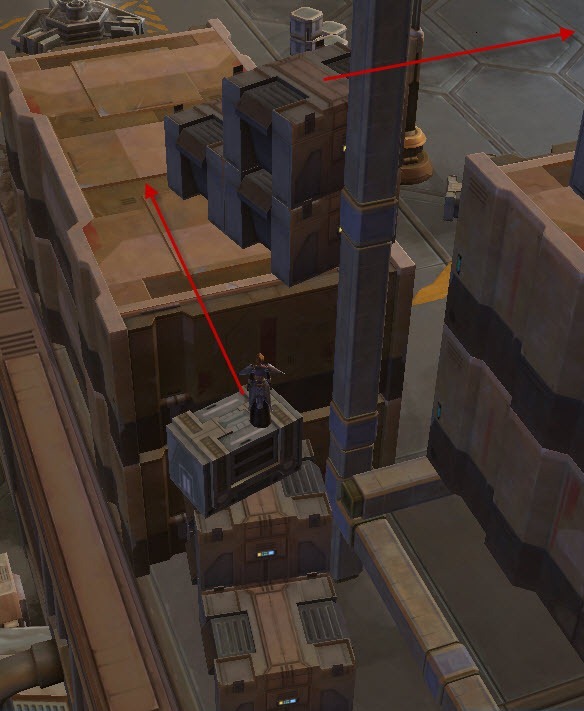 The key is to not stand on the edge of the box but rather stand near a bit back so there is enough room to jump and not just fall off when you step off the box. 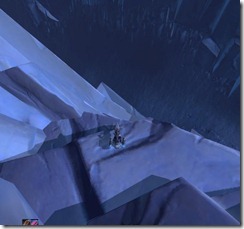 The good thing is that if you make this jump, you are pretty much on the home stretch! 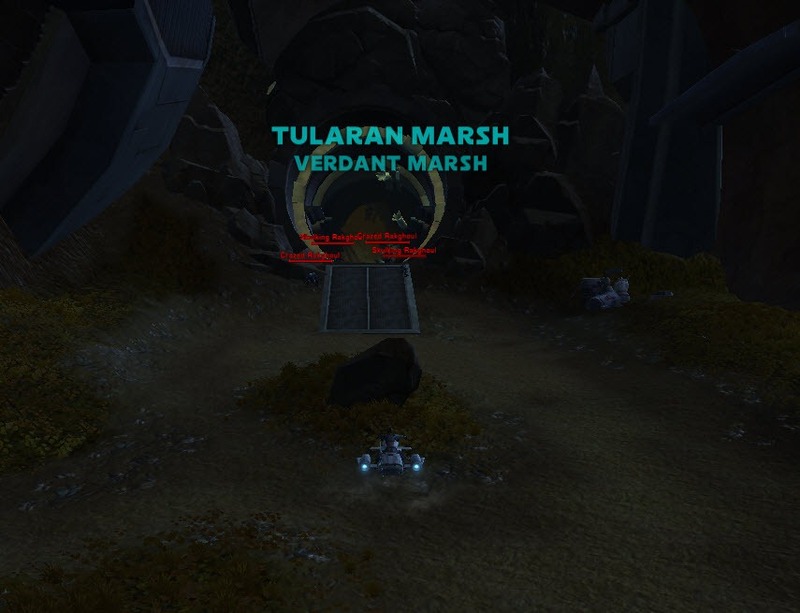 Click to access the green elevator. 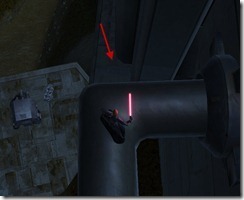 Once you are out the elevator, jump to the pipe on the left and carefully walk along the pipe.. don’t be scared! 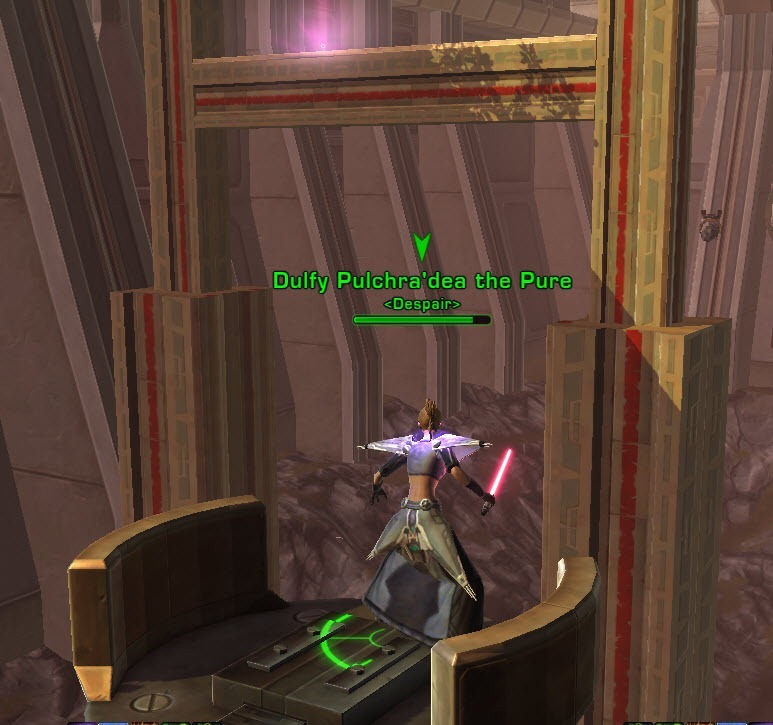 The datacron is at the end of this flap here.. but careful as there is a small space between the platform and the flap and you don’t want to fall off now!! 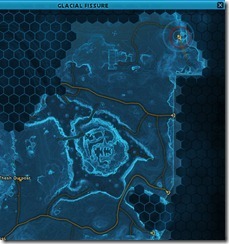 +2 Willpower (193, –343): To access this, you need to head to Bugtown. 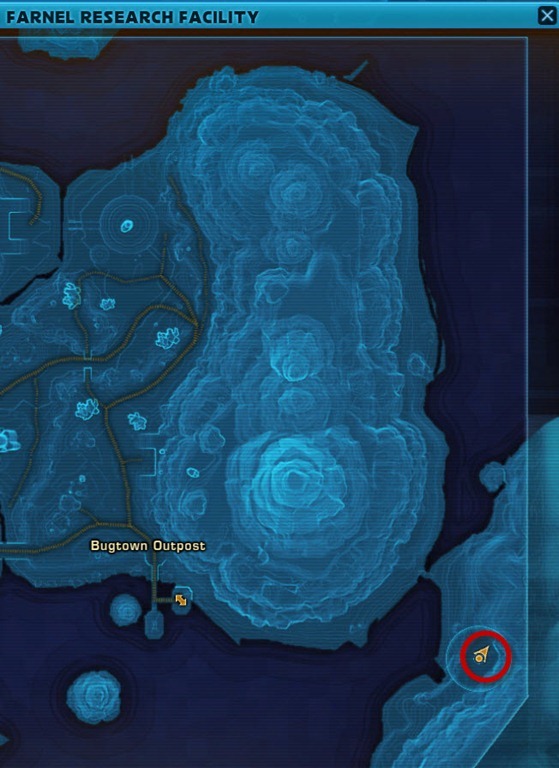 To access, Bugtown, you need to go to the Vanguard Outpost in Markaran Plains (you don’t need to complete the bonus series to access this outpost but it is located where the bonus series are). 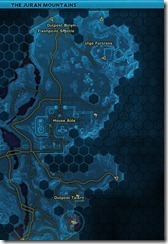 It is located at –1552, 1287 marked on the map. 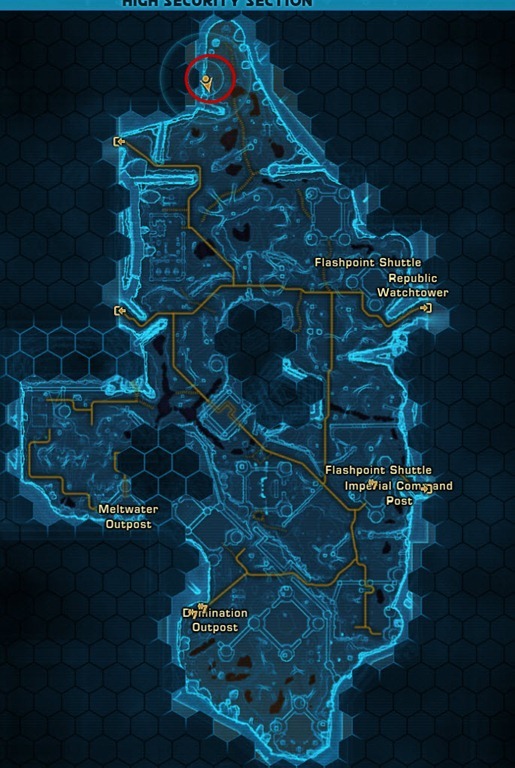 Take the taxi to Bugtown, once you are in Bugtown, take a swim in the toxic lake and head to coordinates 671, 36 marked on the map. 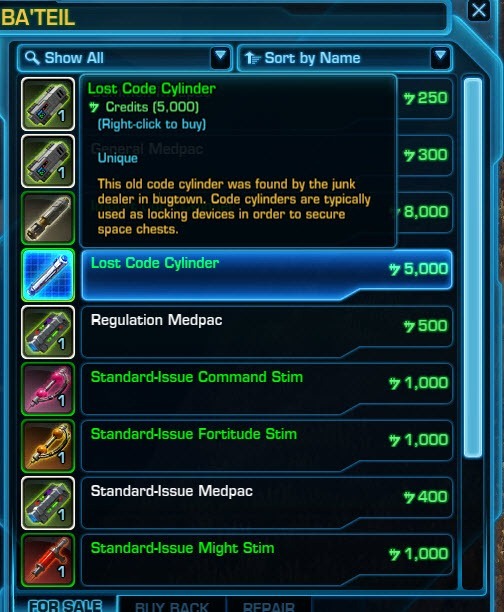 You need to purchase a Lost Code Cylinder for 5k credits from the vendor at that location. 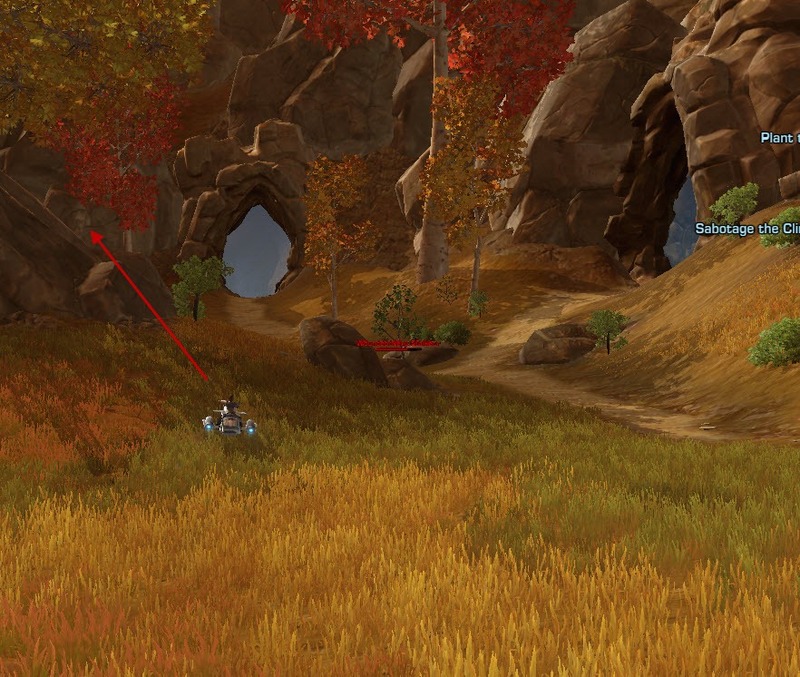 Once you have that key, head to this location in the middle of the map and go to the broken bridge on the left and unlock the chest for the datacron! 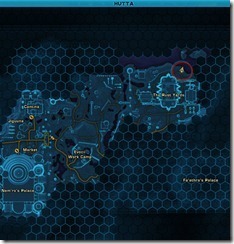 +2 Endurance (-793, 1451): Very easy to get. 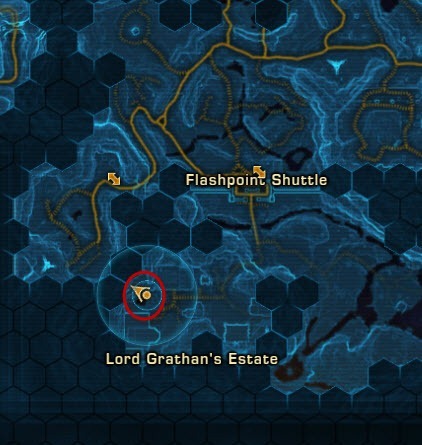 Take the speeder to The Wall and Head to Lord Grathan’s Estate. 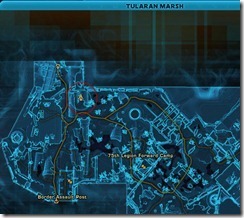 Once you are there and face the main building, take a right, you should see a hidden path in the woods. 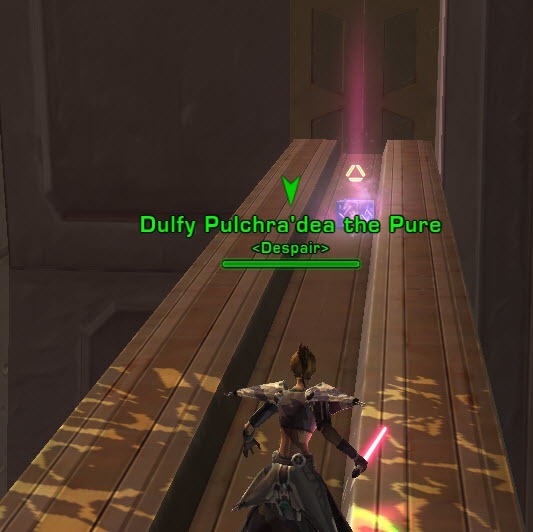 Follow the path and you will see a datacron in the end. 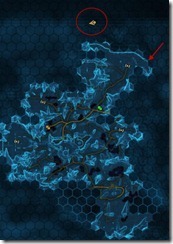 The start of the path has the coordinates –691, 1536. +2 Presence (581, 797): Also very easy to get. 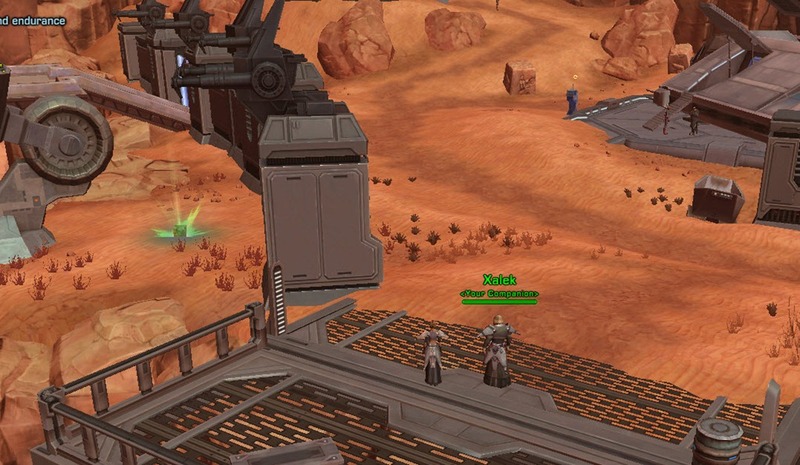 Once you get off the spaceport in Dromund Kaas, go left and you will see a hidden path. Follow the hidden path and you will arrive at your datacron! 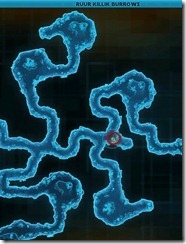 Hidden path starts at 767, 733. 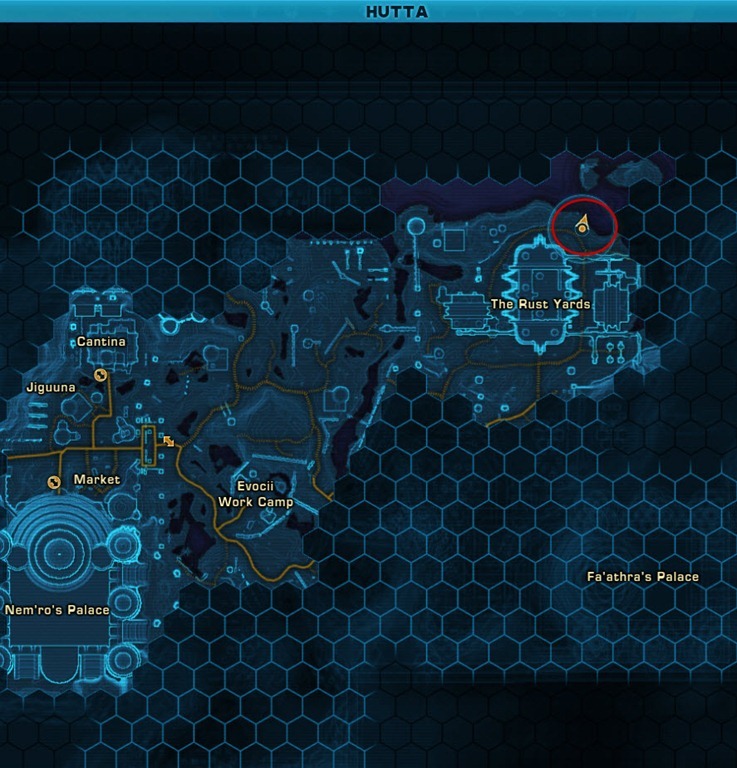 +2 Endurance (151, 79): Fairly easy to get. 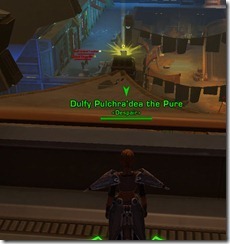 Step off the Shuttle and voila there is the datacron. +2 Willpower (530, 65). 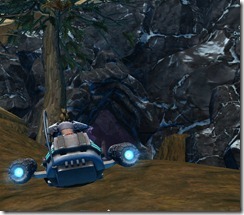 Take the taxi to Lower Wilds. 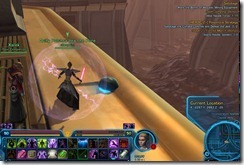 Once you step off the Taxi you can see the datacron but no amount of jumping will help you get it. 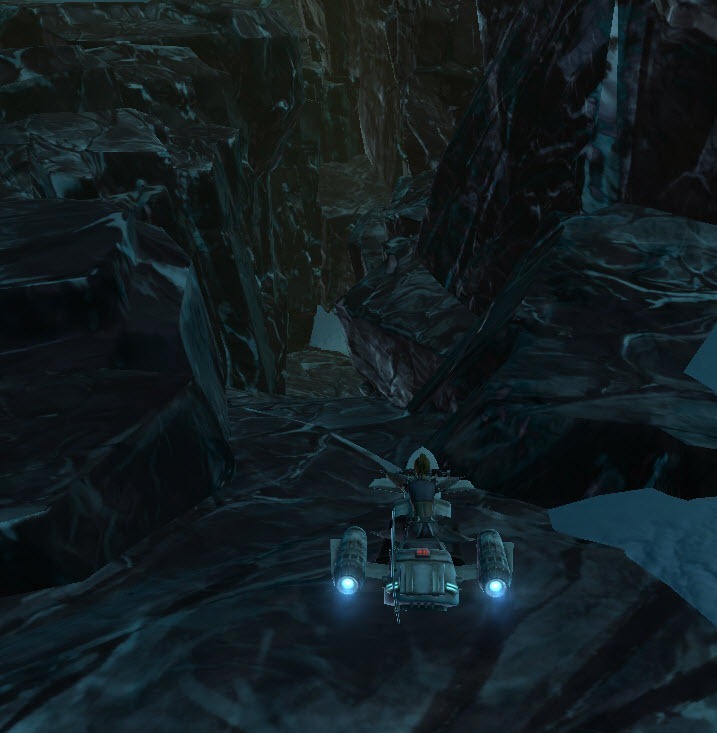 Instead, you have to go around the long way to reach the datacron. 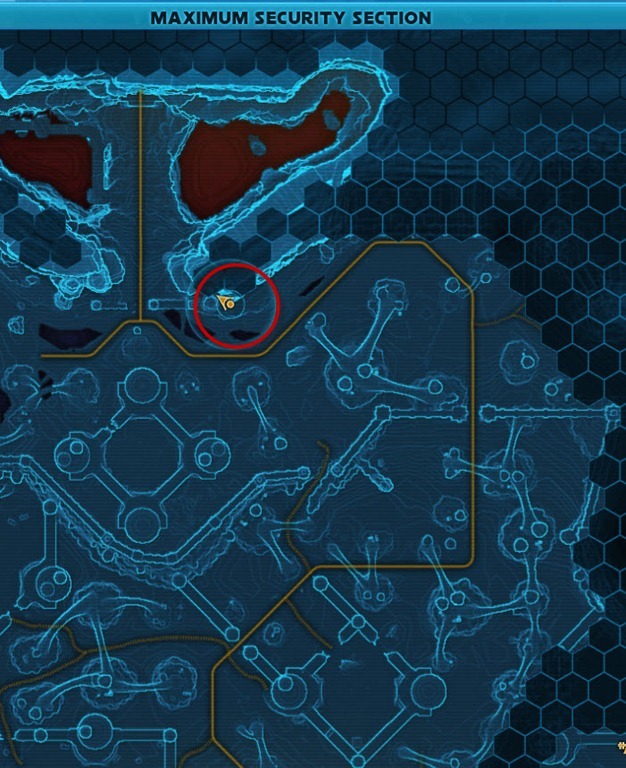 +2 Presence (649, –109): This one is at the NE corner of the map. 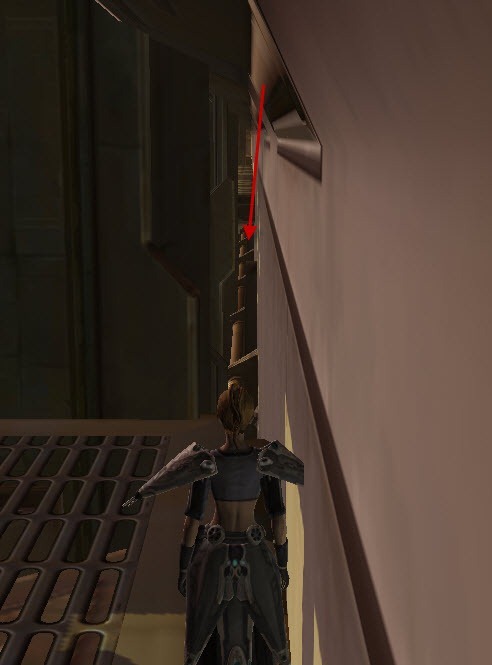 Starts with a long pipe (coordinates 504, –9) you have to get on top of them and there is a minor bit of jumping around, although no where as difficult as the one on Nar Shaddaa or Taris. Get on the rock and then on top of the pipe. 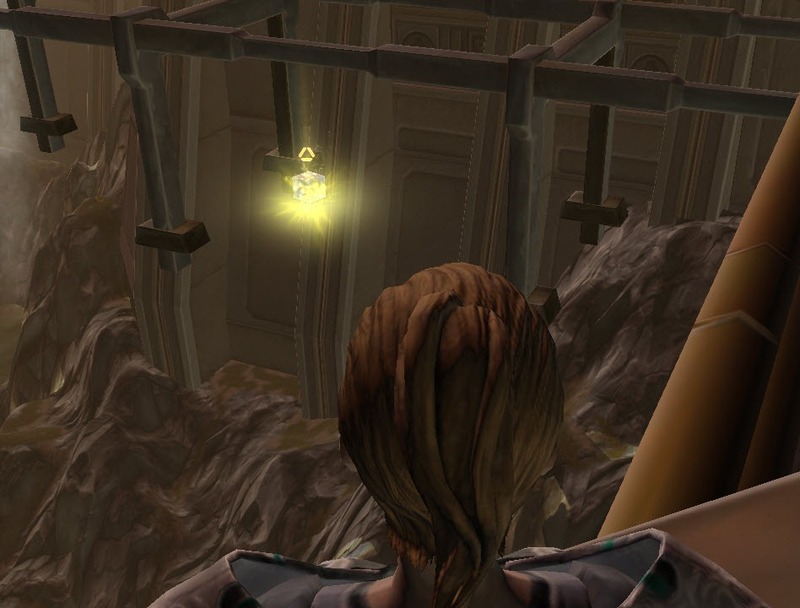 You need to make a minor jump here, I find it best to stand on top of the triangle thingie and jump from there to the broken piece. 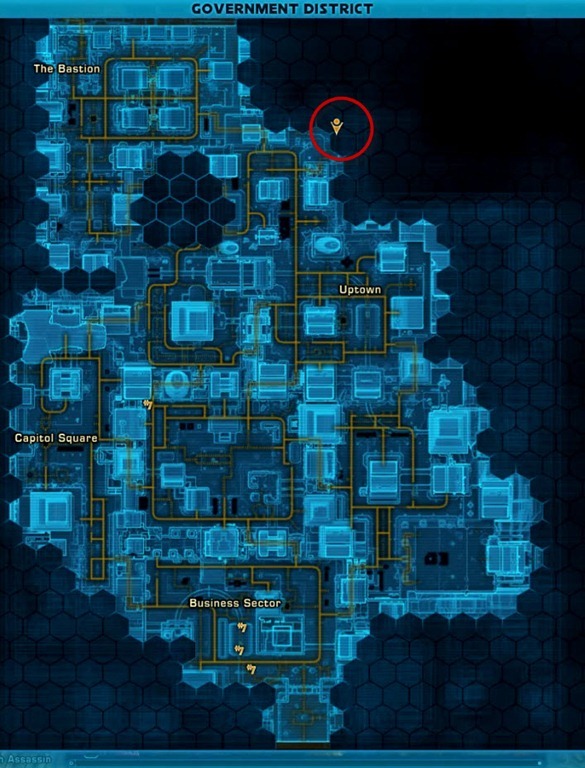 Loving the guide so far, but I think your +4 willpower on Taris is missing a few more steps. It doesn’t explain anything else past the last jump you have listed. Otherwise, the directions/instructions are right on! So, I think I spent maybe 4 hours total and I managed to get everything on this list…so Thanks! 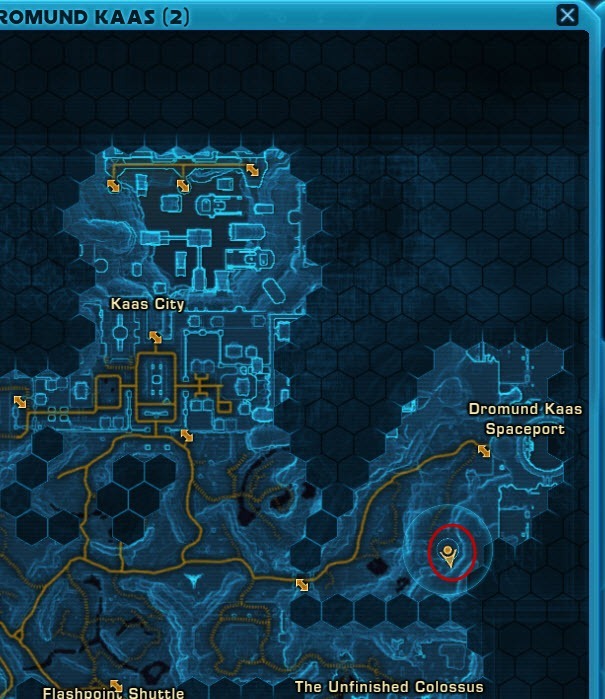 Not really a big deal but I thought you might want to know…Nar Shaddaa link at the top of the page does not link to Nar Shaddaa in your guide. It instead links to Ilum; no big deal but worth mentioning. 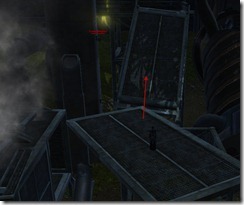 The one in Castle Panteer I could not get because my character was too big (3 on slider). 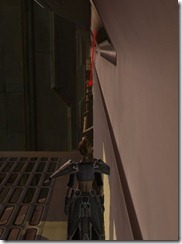 Neither dying near the crack, nor using /stuck worked to get my larger character through the crack. 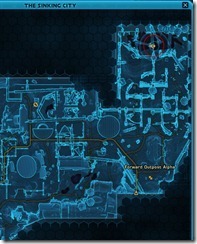 You should consider including the color matrix shards (or at least the red ones) in this guide as well. I know you have a complete other guide but the two are pretty well connected. 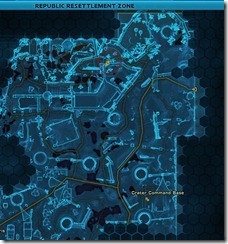 THe one this missing that SI need is the Red Matrix Shards. 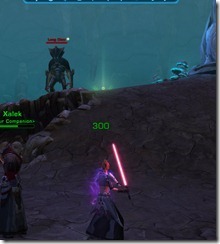 3 Red Matrix Shards makes the level 50 Matrix Relic. 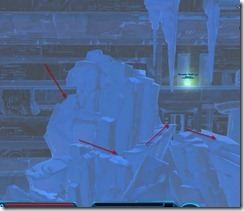 One red shard is on Ilum one is one Koribanand a third one is on Hoth. lol awww. 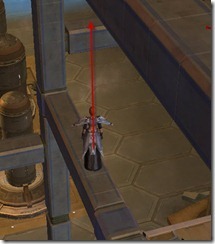 Bioware hate fat characters! 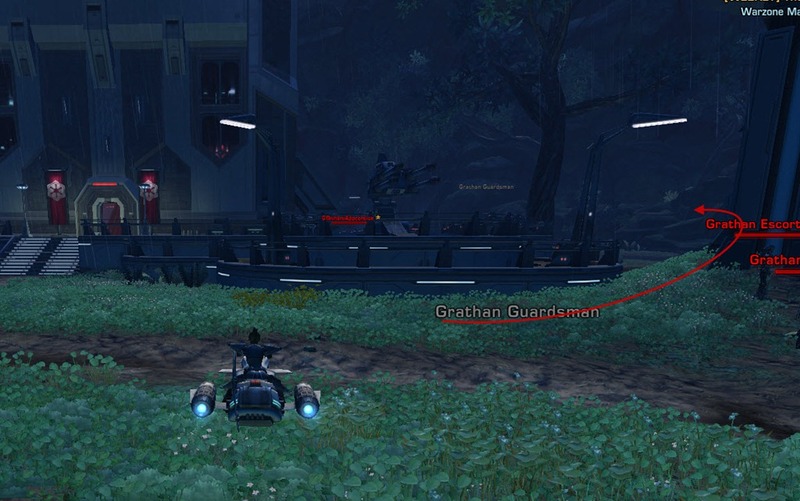 As a body type 3, level 50, I pulled half the guards in the castle and died at the crack. 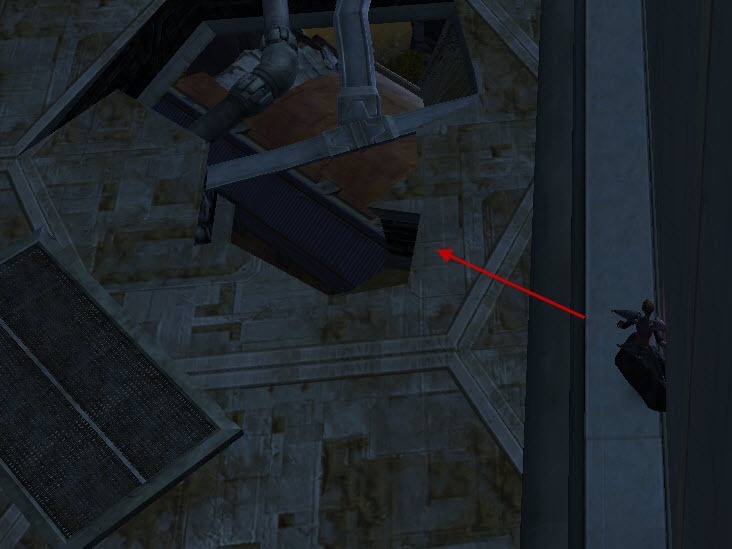 Small bodytype friend walked through and rezzed me on the other side. 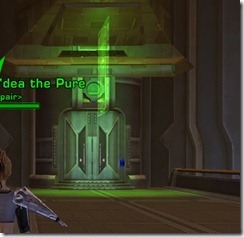 What you could add, is the codex entry that is given from each datacron, so it is easier to figure out if you’ve already gathered it in the past or not. 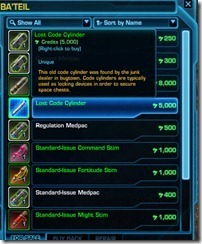 Easiest place to find the codex entry is at swtor-spy/datacrons. Great guide and was exactly what I was looking for and in the process of trying to figure out on my own (huge time saver!). 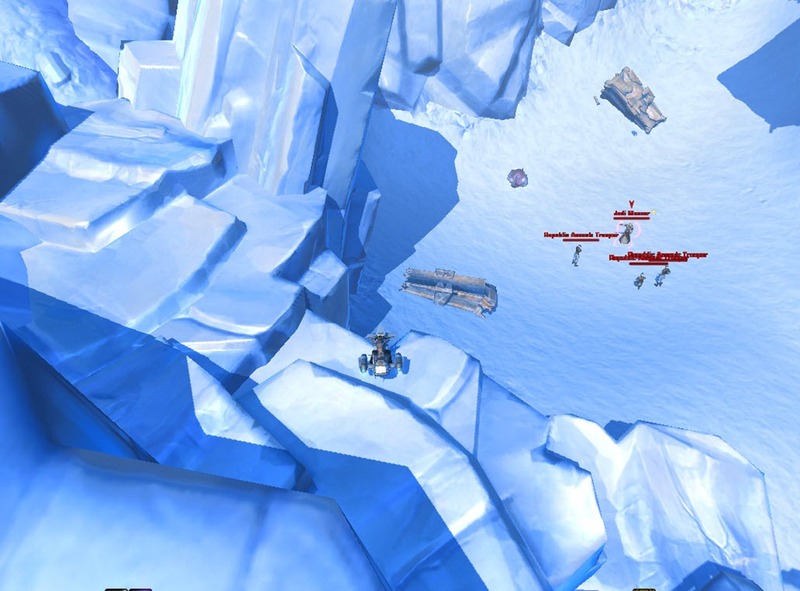 I’m so with you on the Taris +4 Willpower. 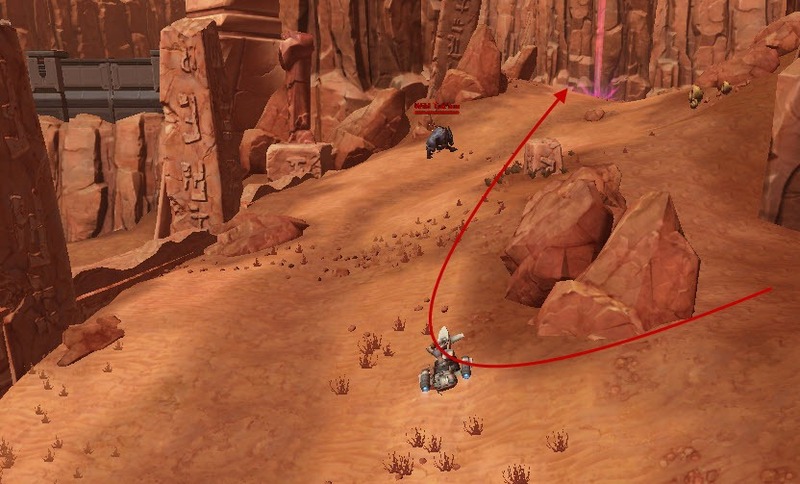 The jumps took me several attempts, and it’s good to hear that good jumping and healing skills don’t necessarily go together. Love the guide, but wish you would have included the Codex Entries for each one as a quick reference for those of us with TERRIBLE memories (I know I can find it elsewhere on the interwebs but would of been nice to have it all in once place). Otherwise awesome guide! Would still love to see the Codex entries referenced to make it easy for people to narrow down which ones they’ve missed. But I wouldn’t actually add the info to the guide, it would be hard to search out what you missed, and as you stated, you don’t wanna mess up the formatting. I’d add it as an image or an excel spreadsheet or something so people could download/open it, check off the ones they’ve gotten and know exactly what’s left. 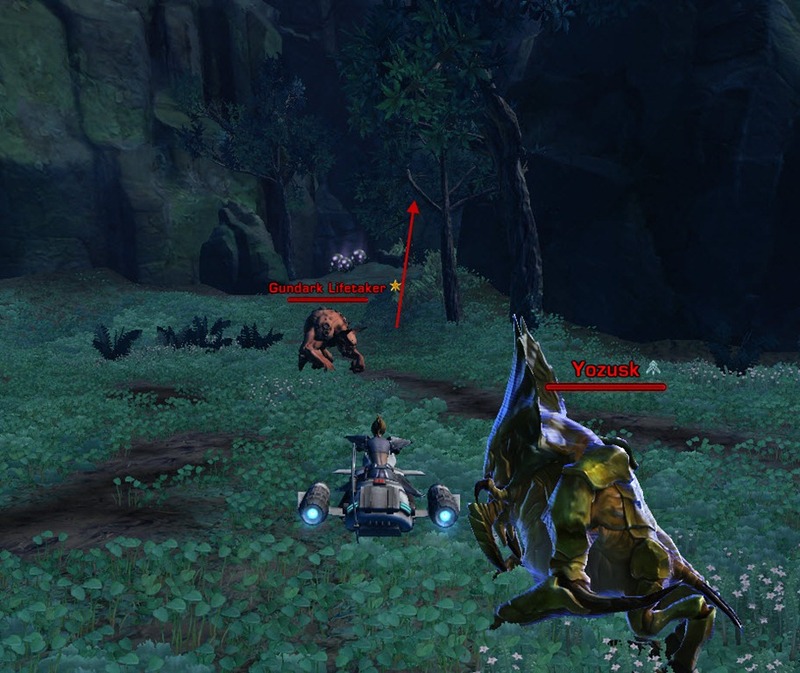 LOVE your hunting guides (this and the rakling one were so clutch). 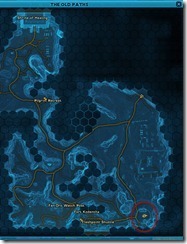 They’re so clear and easy to follow in the scrolling blog format with your minimaps. 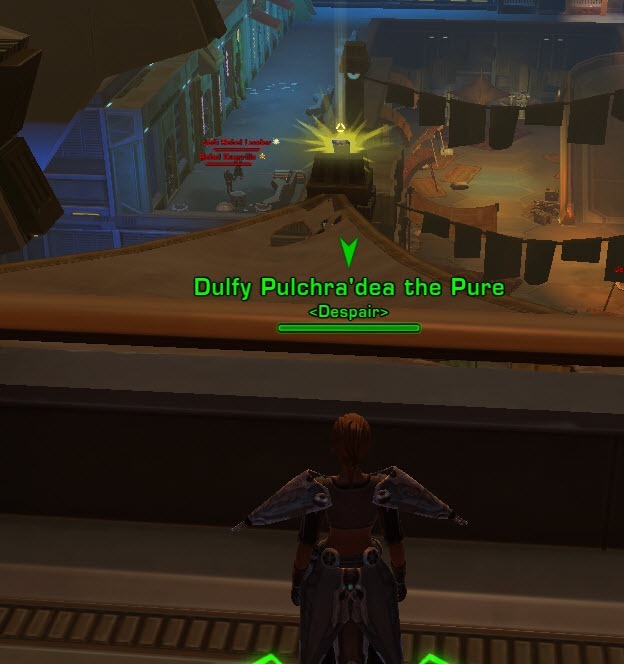 I wish you’d do a complete datacron guide. Any plans to do one sometime soon? 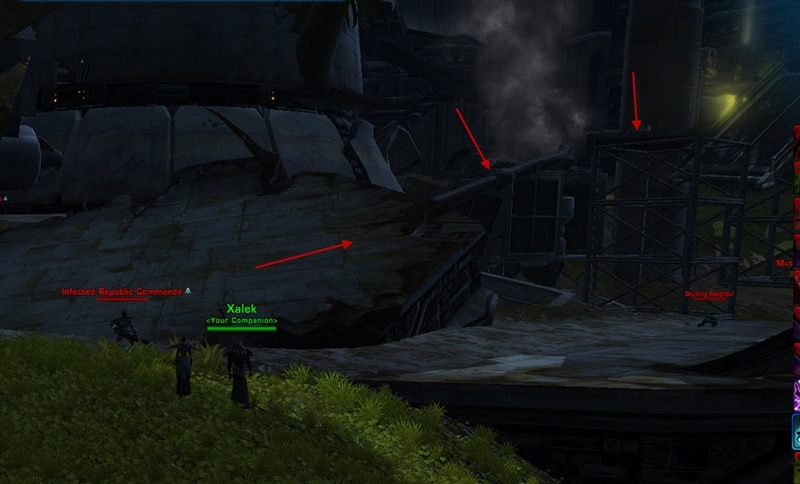 Either way, thanks for this guide. Nice guide, especially since it focuses on the datacrons that are most useful for the Inquisitor. 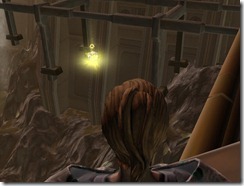 I may go back and try to get the Willpower one on Corellia again, since you have a different positioning for the jump. 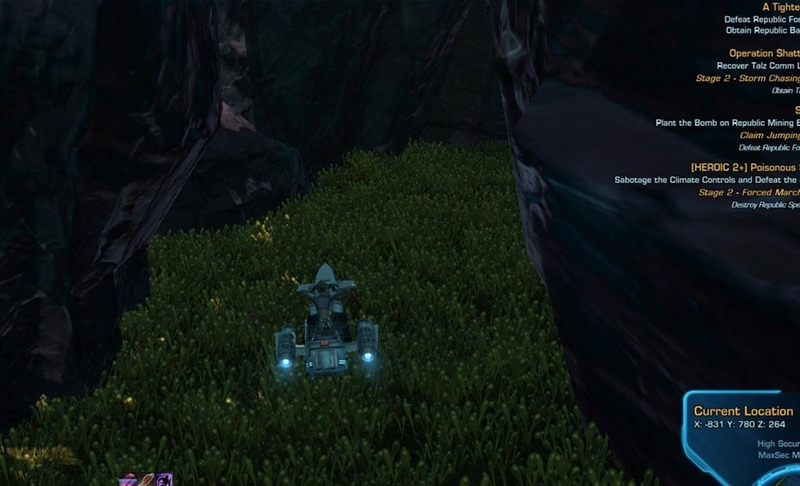 Also, just wanted to mention that the instructions for the Presence datacron on Corellia are outdated. 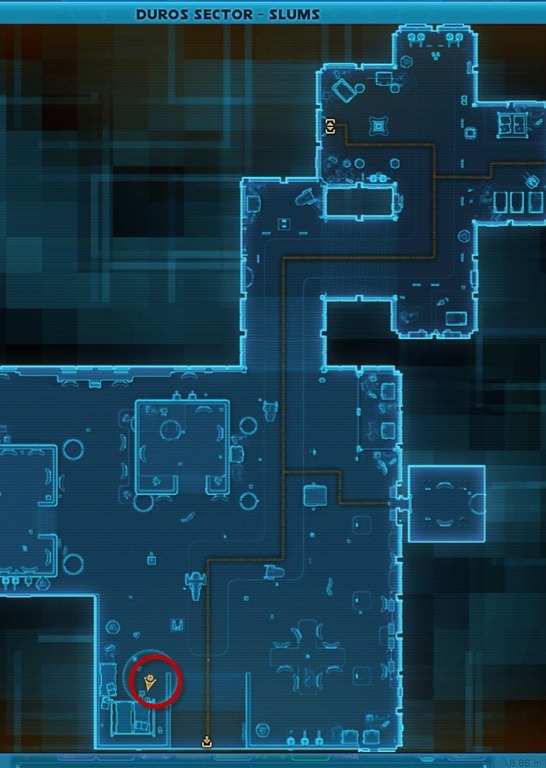 It was fixed in 1.2 and you can’t get through the wall at all. 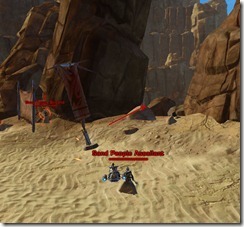 swtor-spy.com/datacron has the correct instructions now. 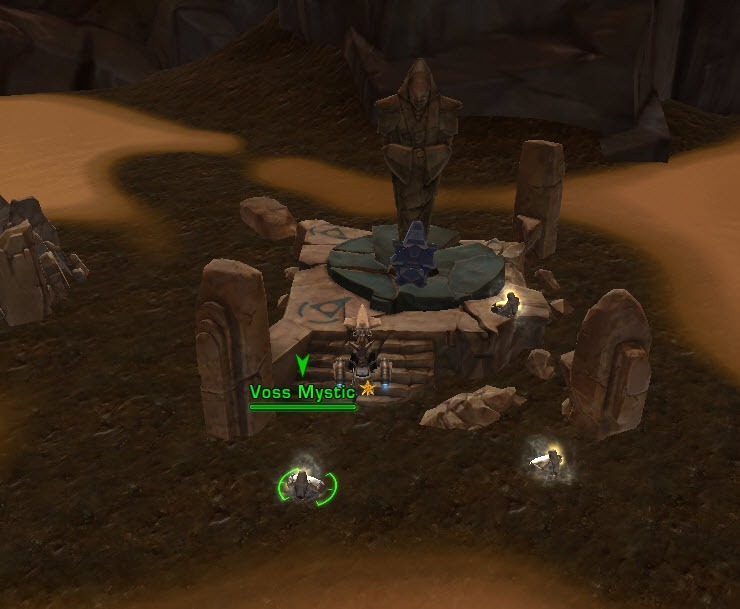 There is also another 1 in the Friends of Old heroic area. 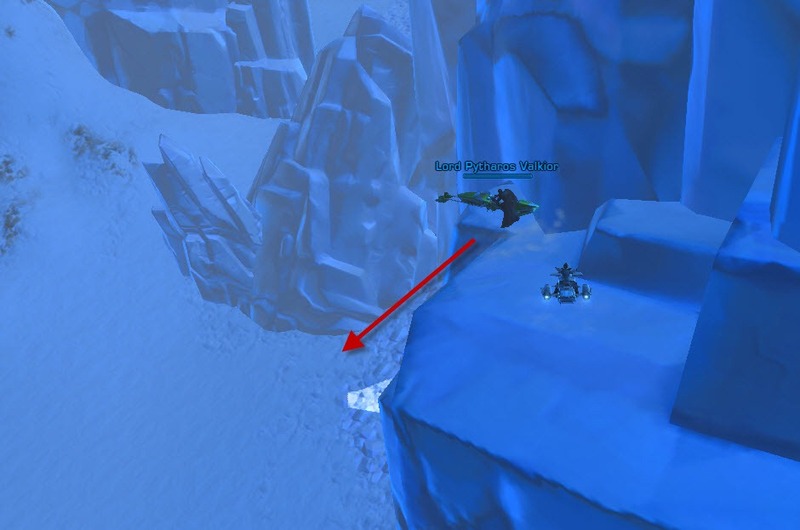 Takes a little cliff dropping to get, but fairly easy. 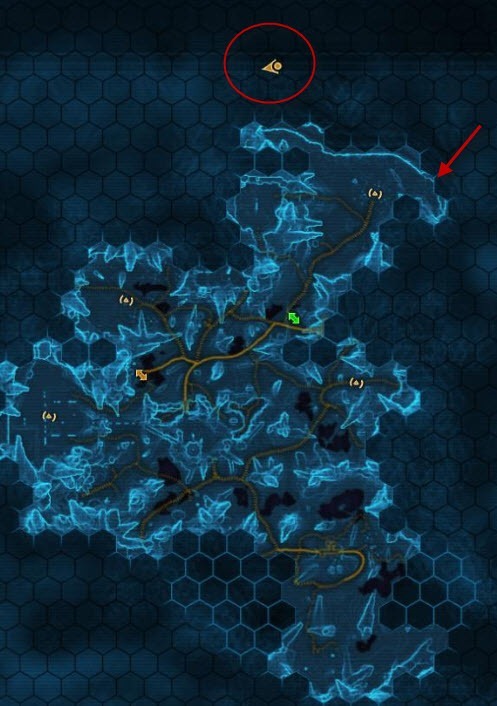 Very nice guide,it helped me a lot. 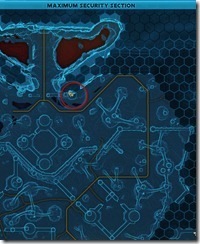 But could you make a guide about Operative DPS/Heal please?